When artisanship was a given, not a rarity, your great grandparents dreamed of square footage. I know you dream of exceptional design: a home that is refined, architecturally pleasing, and is significant in its quality, style, and pedigree; a reflection of you; a home that makes a statement and contributes to the aesthetic landscape of Dallas. 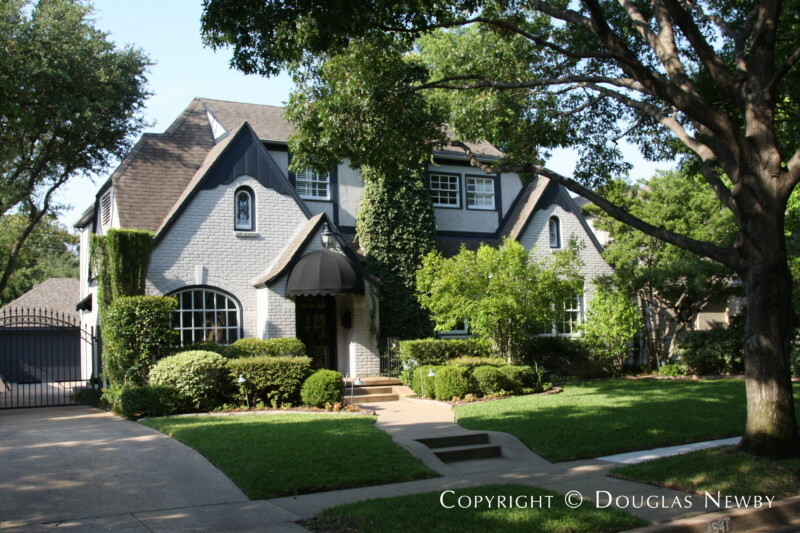 To help you find this home, we specialize in estate homes, architecturally significant, historic and architect designed homes in Dallas, representing real estate in Preston Hollow, Highland Park, Turtle Creek, and the finest neighborhoods in Dallas. As a sophisticated buyer you desire a home that reflects you. I understand your desire for a significant home and the inventory of the homes for sale or potentially for sale. Call me to see if I should represent you. Aesthetics is my passion, but I am most known for my transactional expertise that will benefit you and all the participants in the sale. A wide range of prices are featured from the most expensive in Dallas to those affordable to successful executives and professionals. They all have in common lasting value, great locations, and qualities that set them apart from comparably priced homes. Please call or contact me at any time to discuss the availability of homes designed by your favorite architect, or in your favorite style, and how we would work together for you to obtain the significant home that is right for you. 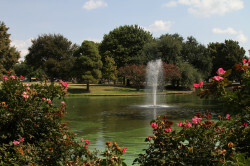 View the cultural, recreational, aquatic life, and estate homes at White Rock Lake. 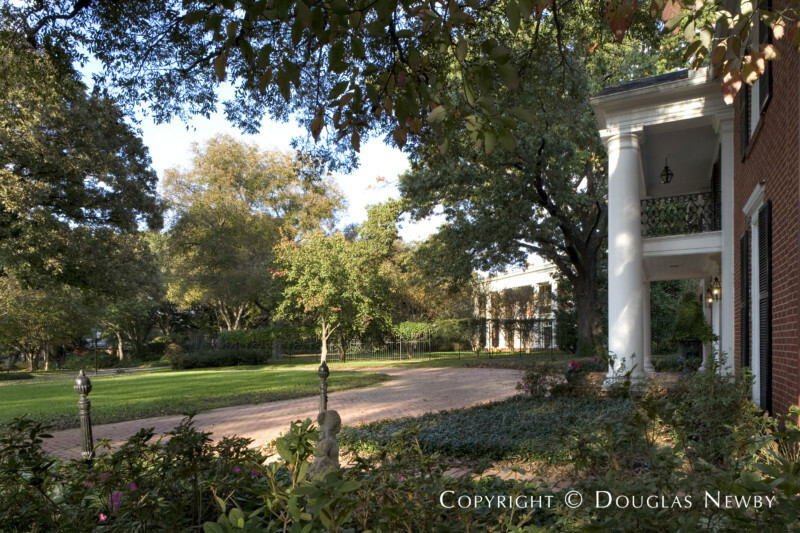 This architecturally significant home best expresses the charm, architecture, and desirability of Greenway Parks. Its architectural pedigree is strong. 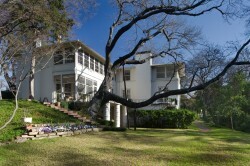 The home was originally designed by Fooshee & Cheek, the architects of Highland Park Village. 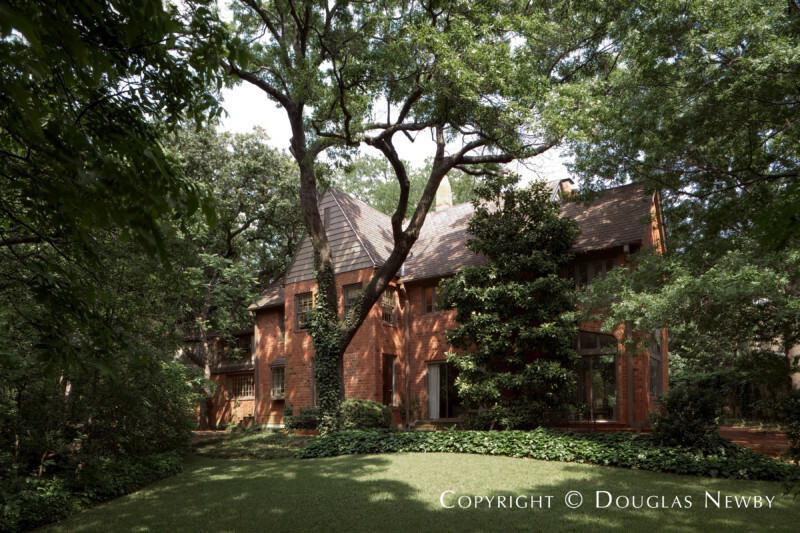 The renovation was designed by Allen Kirsch, celebrated for his work on some of the best homes in Dallas. 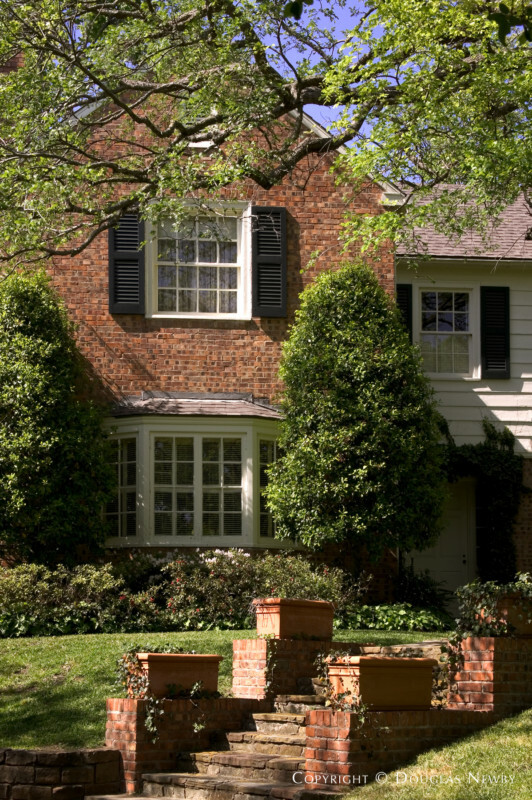 The parks of Greenway Parks and boulevard parks surround the home, accentuating its front porch charm. Greenway Parks is a collection of homes designed and built in many sizes and styles. 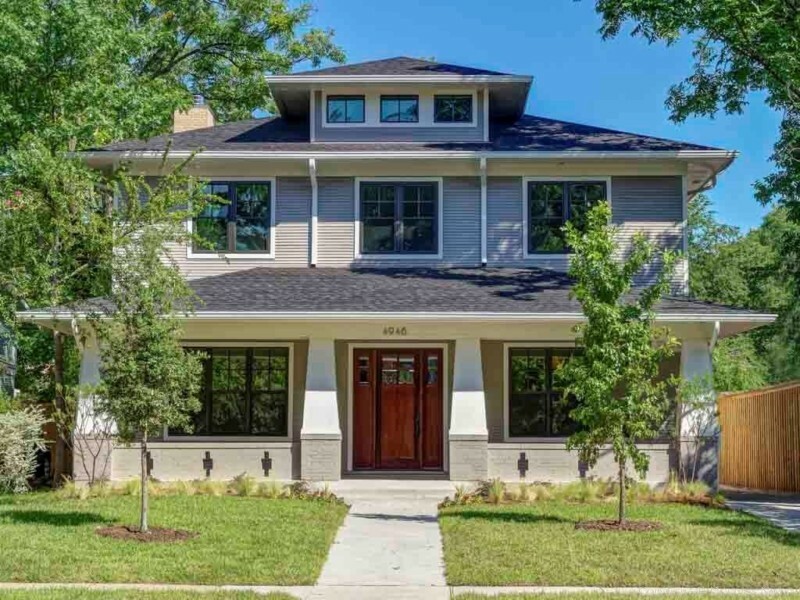 A conservation district ensures that the scale and design of the homes in Greenway Parks remain true to the neighborhood and its aesthetic success. 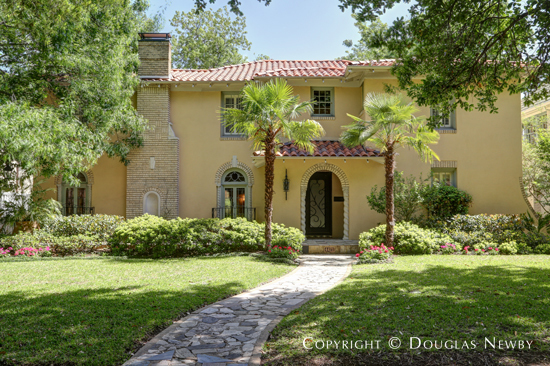 On nearly one acre, a Preston Hollow estate size lot, this 1951 colonial style home sits graciously on the site and reflects the friendly neighborhood atmosphere of Greenway Parks. Found in the middle of the neighborhood, it is removed from the traffic found on the neighborhood’s bordering roads that make Greenway Parks so convenient to the private schools in one direction and downtown Dallas in the other. Also, Highland Park Village is just walking distance away. 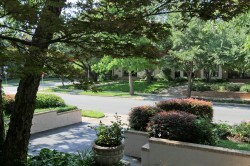 The most desirable Preston Hollow lots are on quiet streets and in the middle of the block of other wide estate lots. 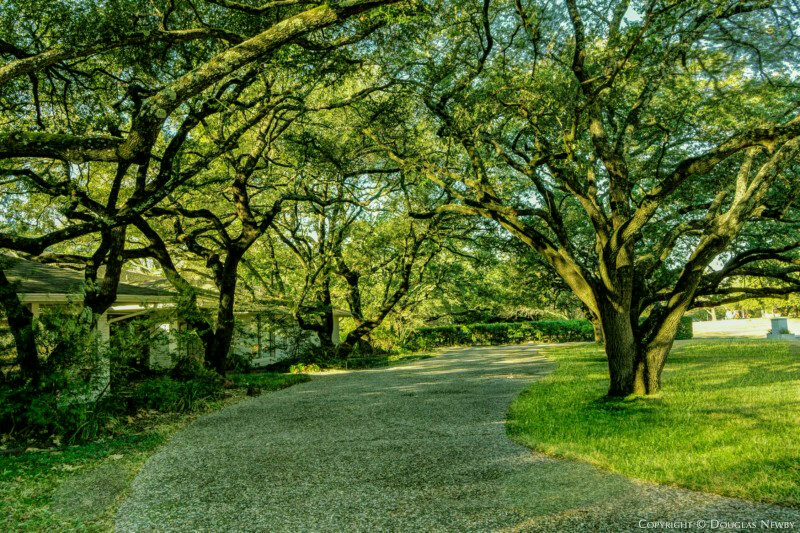 A site like this provides privacy and a sweeping drive through an allée of Live Oak trees that conveys the original natural elegance of Preston Hollow. 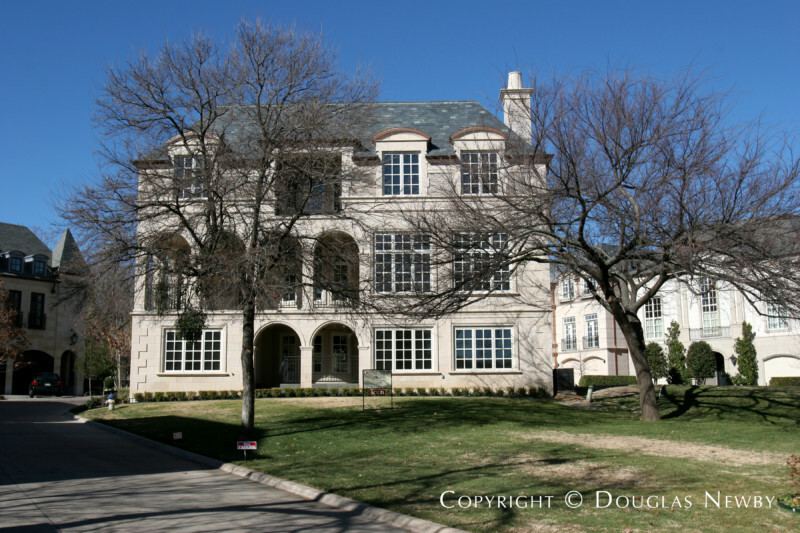 What is the point of living in the estate area of Preston Hollow with curbless tree-lined streets if your home is on a narrow, deep lot and next to large houses stacked side by side, reminiscent of a townhouse neighborhood? 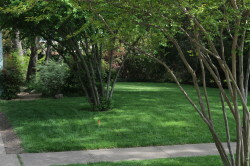 The continuous sweeping lawns on Yolanda Lane convey the relaxed atmosphere of Preston Hollow versus the frenetic and crowded urbanity that has taken over so many neighborhoods in the Park Cities and Dallas. 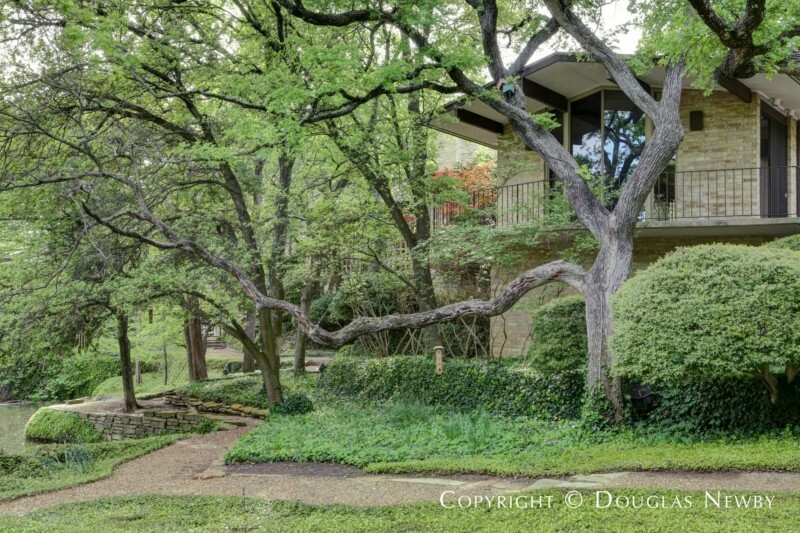 Where else will you find an architect-designed home overlooking a meadow, forest and park, with a walking and biking paths down to the Bath House Cultural Center and Bath House Theater and White Rock Lake under $2 million? Open, efficient space makes this a home with modern appeal and much convenience. Surrounded by windows and doors opening to the outdoors, the porch and terrace allow you to fully embrace nature and the convenience of a modern home. 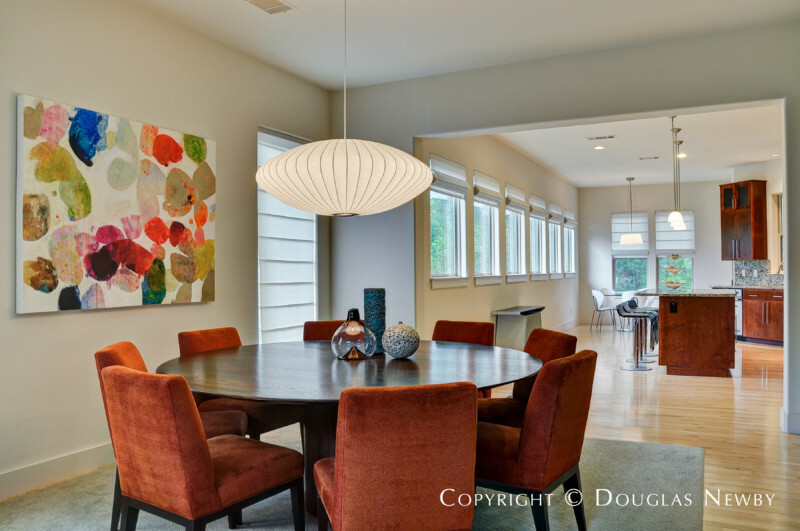 Why opt for a big house, town house, high rise or condominium when you can have the best of all worlds on East Lake Highlands Drive, in the Peninsula neighborhood of architect-designed modern homes? This neighborhood has immense appeal. For instance, if one is an avid cyclist, runner or walker there are many routes the neighborhood presents and the eclectic mix of newer modern homes and one-story traditional homes coexist peacefully with the lake and forested neighborhood as its backdrop. Its location is close to downtown Dallas, the Arts District, SMU and there is easy access to major thoroughfares for those with a longer commute. 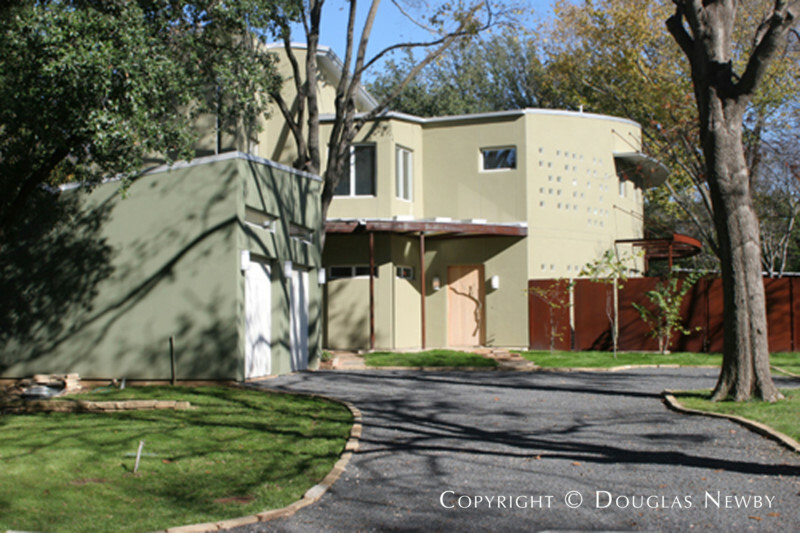 Lionel Morrison received an AIA Honor Award for this 3,600 square-foot Travis townhouse located a block from Knox Street and Travis Walk that he designed in 1999. Now it is even better. The CEO and managing partner of a leading national design oriented architectural firm, totally renovated the space, making it structurally and aesthetically sleeker, the environment greener, and the space even more inviting. 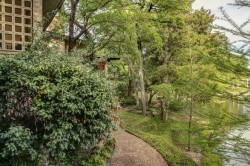 This rare Highland Park 100-foot wide lot for sale is located on Lexington Avenue, a beautiful street of architecturally significant estate homes. There are very few Highland Park lots for sale that have this much land, almost half an acre, so well placed in this prestigious neighborhood of old Highland Park. The early modern home at 5017 Swiss Avenue expresses the architectural influence of Frank Lloyd Wright and Louis Sullivan. The carved band of Sullivanesque detail, the Sullivanesque relief ornamentation on the dormer,under the deep eaves, and on the panel between the second story windows are outstanding examples of the Progressive Style and Prairie School architecture. 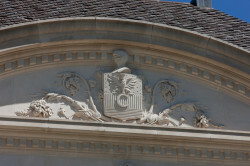 This ornamentation emphasizes the streamlined horizontal lines of Frank Lloyd Wright’s designs. 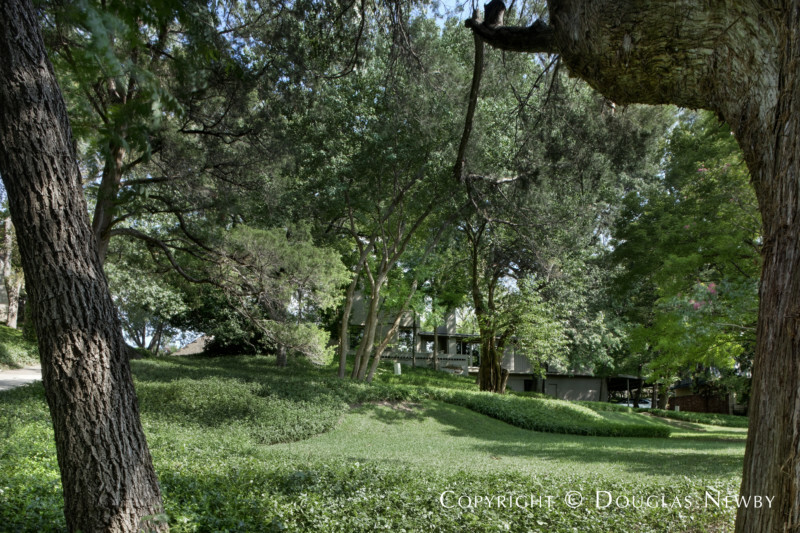 Set high on the private Turtle Creek Drive, this Turtle Creek land is the best site for a new modern home. 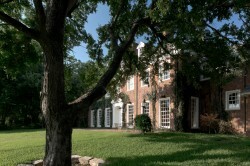 Currently the existing home looks over the manicured lawn of a $20 million home to the view of Turtle Creek. The Dallas skyline is in the background in one direction, luxury Turtle Creek highrises in the other across the creek. 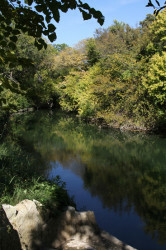 Walk along the Katy Trail to West Village or Knox-Henderson. 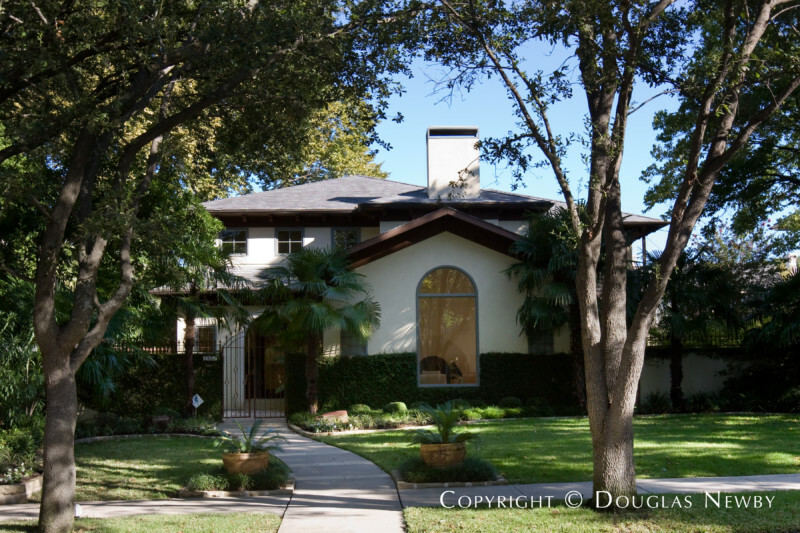 This period modern residence enjoys the forested serenity of Turtle Creek Park and the energy of the city. 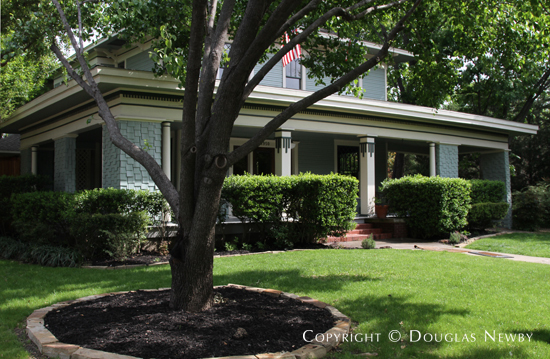 Just two miles from the Arts District and a few blocks from Highland Park, this small, secure neighborhood is my favorite in Dallas. 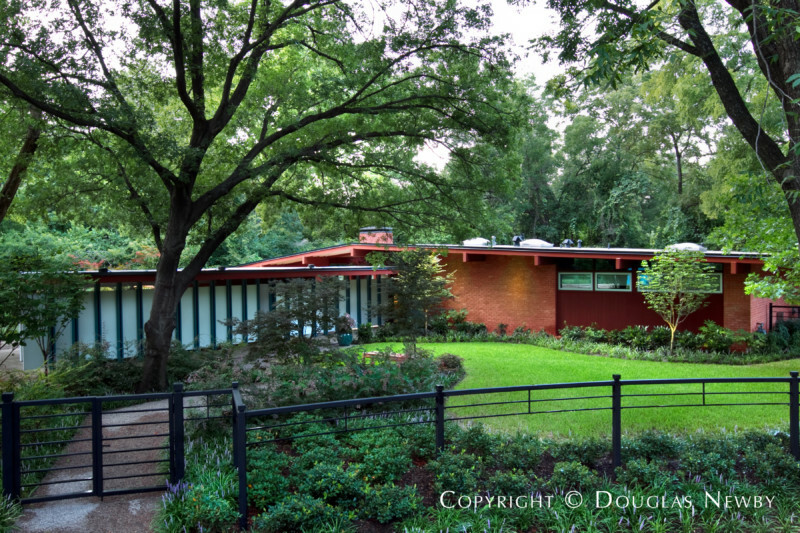 Arch Swank, one of the most accomplished modern architects in the 1950s, designed this architecturally significant modern home in 1957 in Highland North neighborhood located west of Midway Road. The architect was adept at siting the modern homes he designed on the most attractive land. 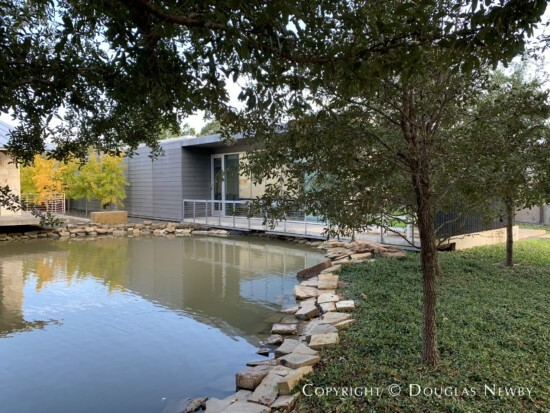 Architect Scott Lyons enhanced a magical setting with a Texas Modern home that is thrust into nature with close and distant views in three directions of trees, gardens, a wide spring-fed creek and pond, and a twelve-acre private garden that is meticulously groomed and blooming. 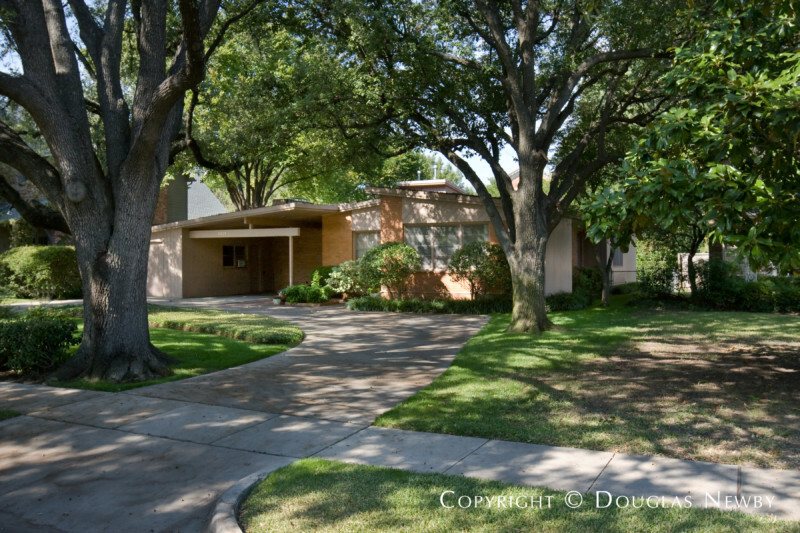 Scott Lyons designed homes for the most prominent and successful families including Ed Cox who this home was designed for in 1963 in the Mayflower Estates Neighborhood. 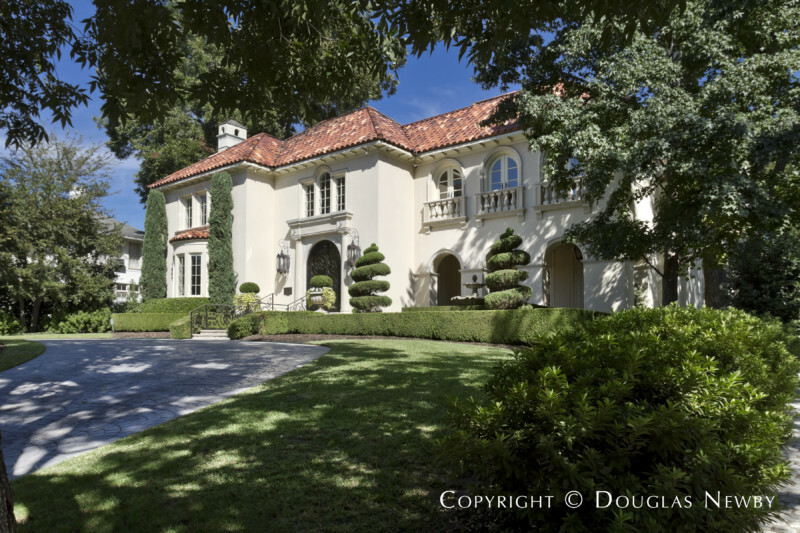 This Preston Hollow estate home is a city home but without any other homes within its views. 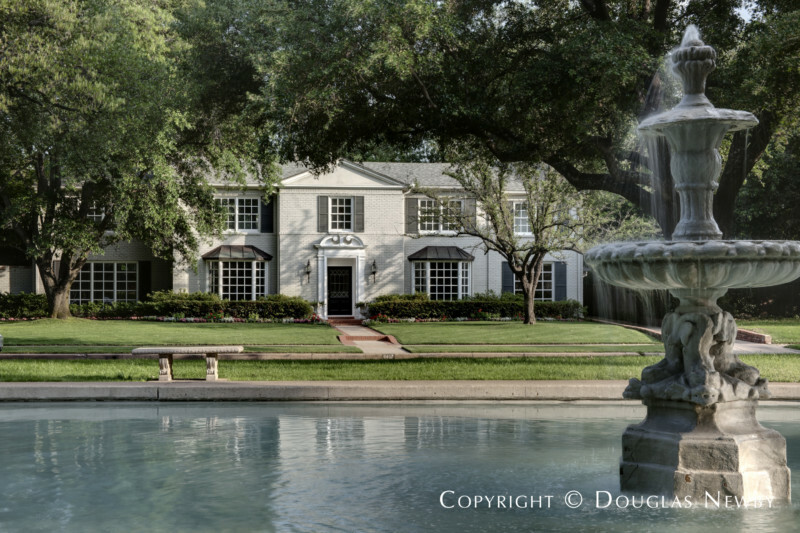 One of the grand and original estate homes of Preston Hollow is for sale. 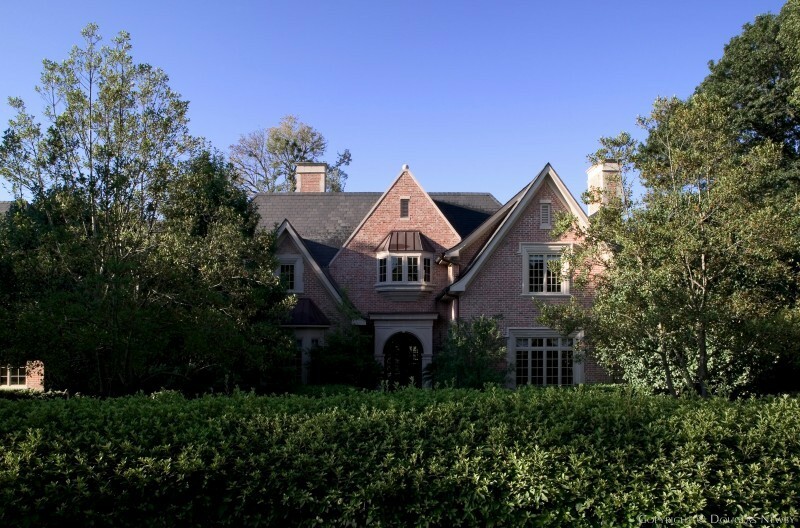 This English Style Preston Hollow home with 6,910 square feet is sited on Ravine Drive, a hidden street that curves around from Meadowbrook to Park Lane in the heart of Preston Hollow. 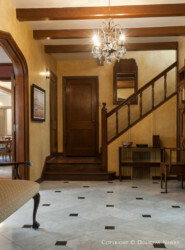 The materials in this gracious estate home reflect the quality of its era. 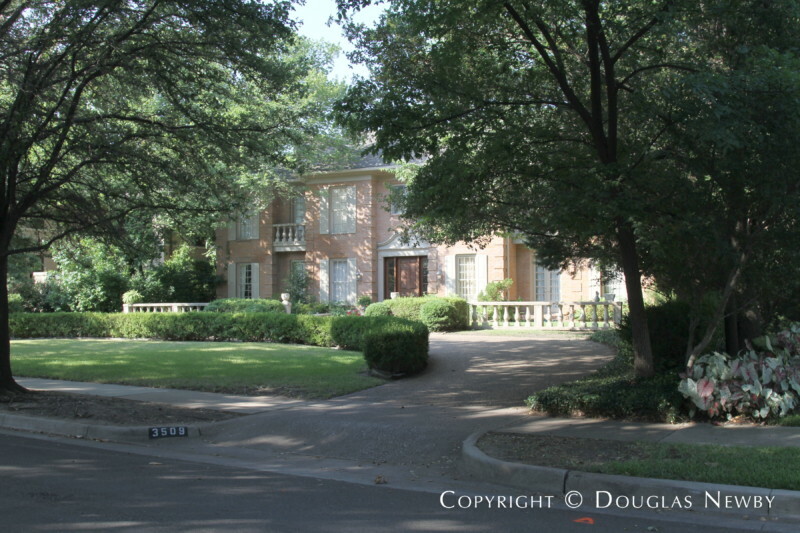 Built in 1939, you will find this brick home to have a slate roof and been well maintained. The home’s very large formal rooms show its earlier importance and provide the spaces desired today. 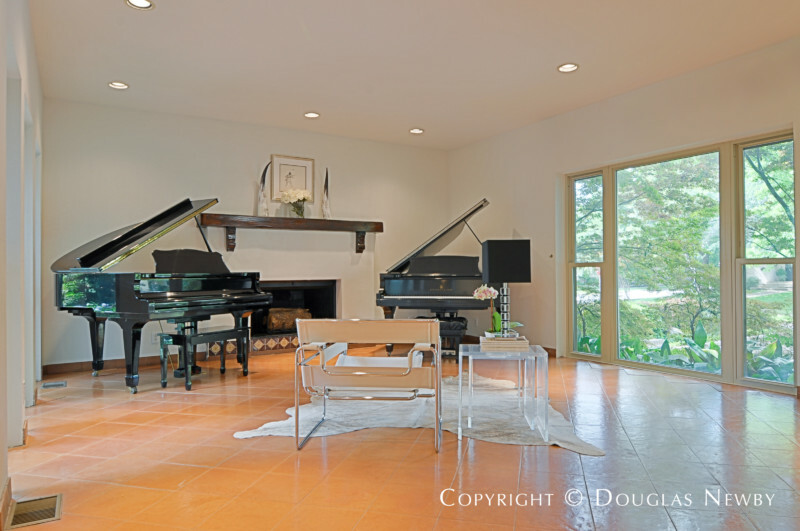 The informal living room is large by even today’s standards, as is the formal library and game room. 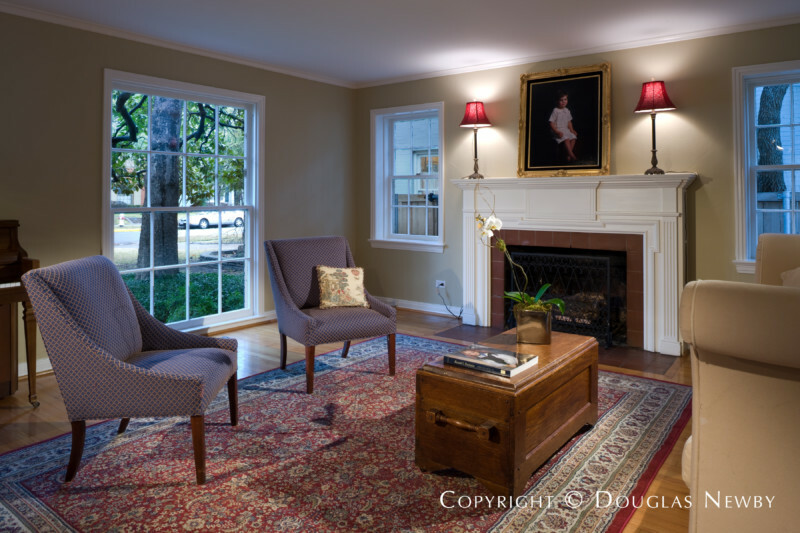 Hardwood floors and original stained moldings provide warmth to the home. 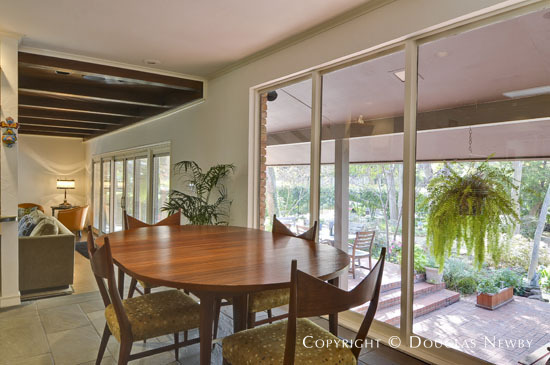 Architect Max Sandfield designed this midcentury modern home on a 1.13 acre site along the 25-acre Crespi / Hicks estate property. The result of this modern period home being located in the quiet and prestigious Mayflower Estates neighborhood and having 25 acres of estate land behind it, is a site that is secluded, prominent and private. 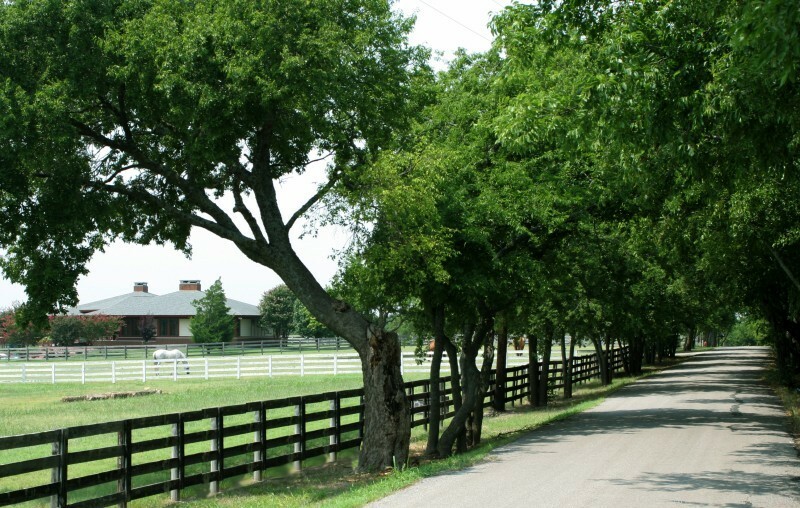 Mayflower Estates is a hidden neighborhood with winding streets, creeks and lakes. 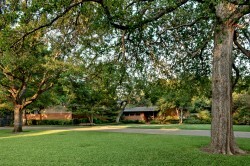 Mayflower Estates has the largest estate homes in Preston Hollow and the coolest midcentury modern homes. 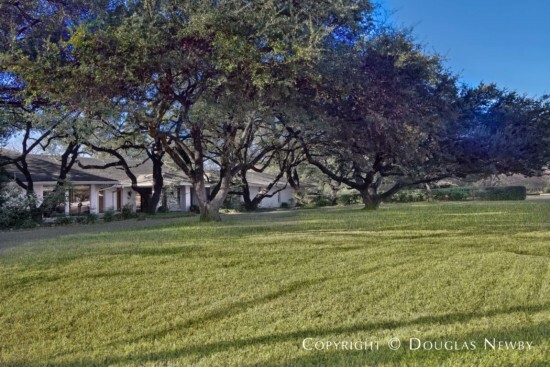 This three-acre property is bounded by West Lawther in the front and Fisher Road in the back. 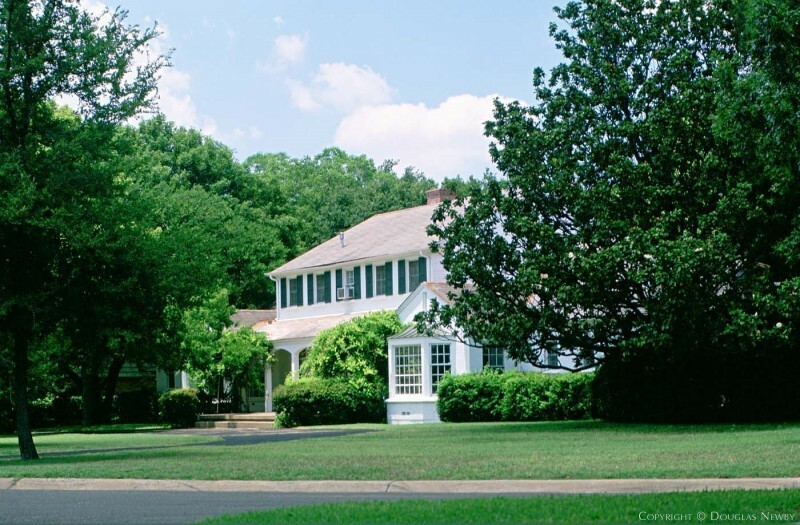 It is platted as a two-acre property with a 6,113 square foot home on West Lawther and a one-acre property that faces Fisher Road and overlooks a tennis court on the property and a park that is across Fisher Road. While the property is being offered at land value for 3 acres, the 6,113 square foot home itself, on 2 acres, is an attractive and enjoyable place to live. The current homeowner was inspired by the Malibu campus which he was instrumental in developing when he was president of Pepperdine University. 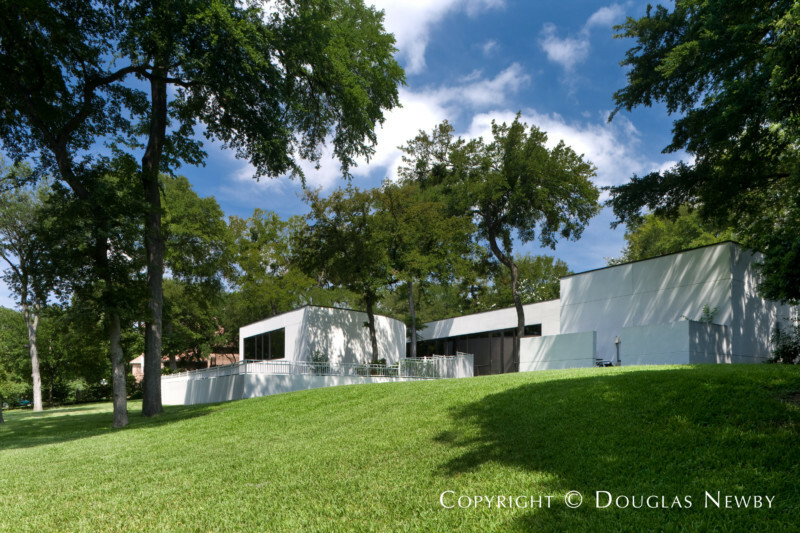 For his White Rock Lake home he insisted on the largest glass windows possible across the front of the house to capture the full views of the lake from the top of this Dallas hill overlooking White Rock Lake. The living room, dining room and breakfast room overlooking the lake are open to the kitchen. 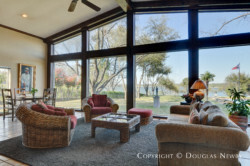 The first-floor master bedroom and library also have beautiful views of the lake. An enormous informal living room and game room overlook the rear garden, tennis court and additional acreage. 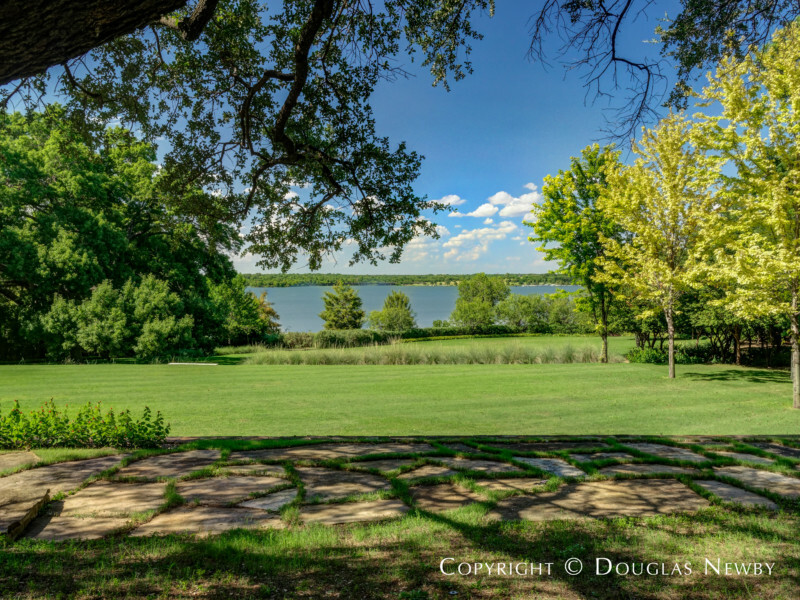 Here is a three-acre property with one of the prettiest views of White Rock Lake. 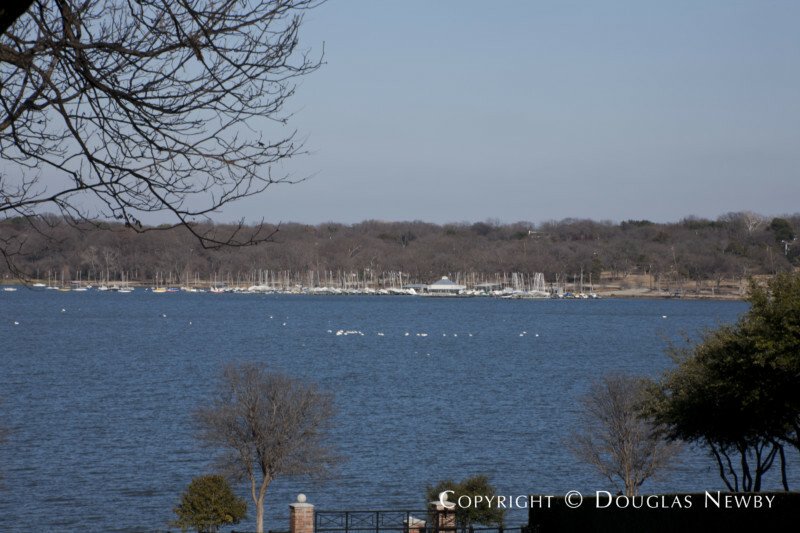 High on the hill overlooking White Rock Lake, you will enjoy the long view of the lake, looking out at the sail boats in the distance. The home has a rich architectural pedigree: the genius of the original architect, Maurice Fatio; the grace of landscape architect Arabella Lennox-Boyd; the brilliance of the renovation architect, Peter Marino, who honored, and further refined, the powerful architecture and perfect proportions that Maurice Fatio was known for in New York and Palm Beach in the 1920s and 1930s and are still celebrated today. Private Air features Crespi / Hicks on cover, "The Finest Estate Home in America Revealed"
See Huffington Post article, "Finest Estate Home in America Found"
Here in the Northern Heights neighborhood that is found along the Katy Trail, on the edge of Highland Park and within walking distance to Knox/Henderson, West Village or Turtle Creek, you will find this three-story modern single-family attached three-bedroom home with a swimming pool. 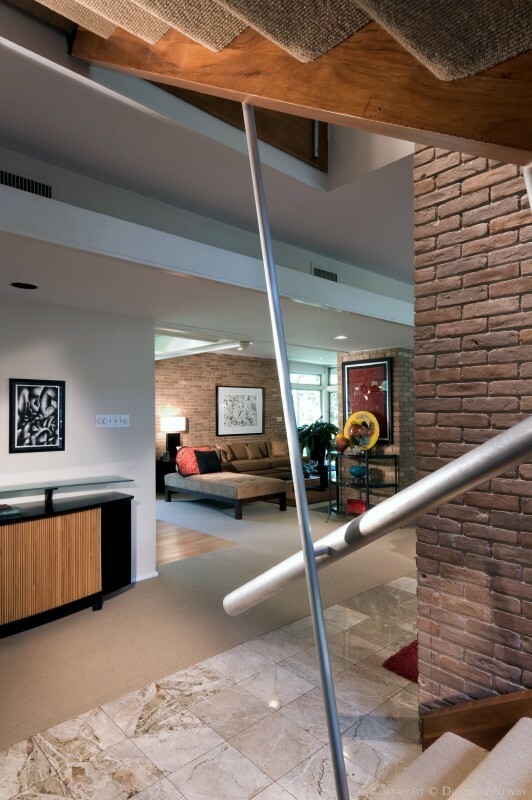 The home has large art walls and voluminous spaces. Sunlight pours into this home, illuminating the open kitchen and breakfast room. 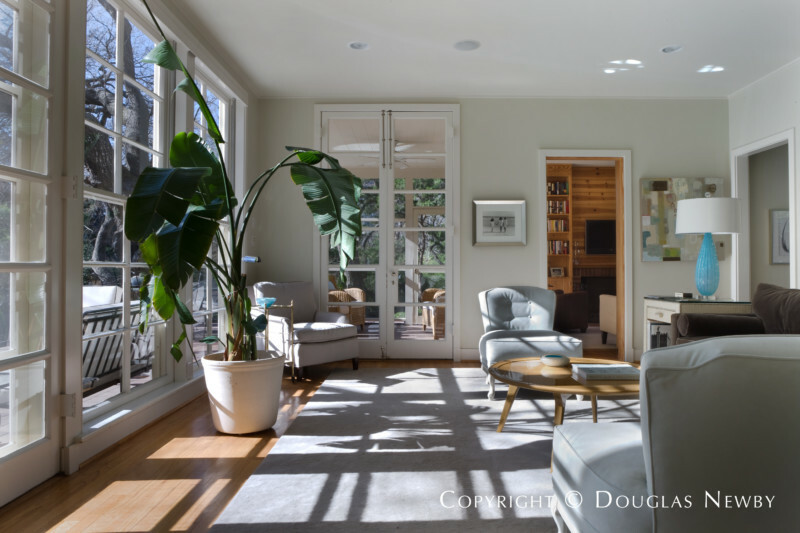 A two-story space for the living room also collects sunlight and opens onto the balcony and terrace. 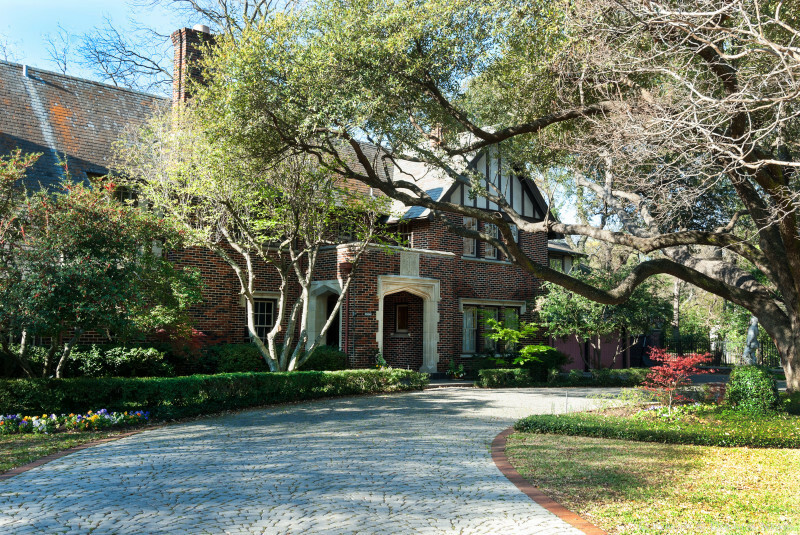 This Highland Park estate home on Lakeside Drive, the most prestigious street in Old Highland Park, has the most beautiful views of Turtle Creek. Inside the house or on the front terrace, you are looking across the lilly pads and great expanse of water framed by azaleas and distant views of the sweeping lawns of magnificent estate properties. 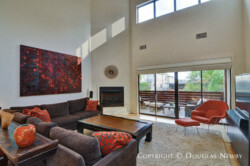 The Mediterranean style reflects original Highland Park, the clean design of open rooms conveys a sense of modernity. 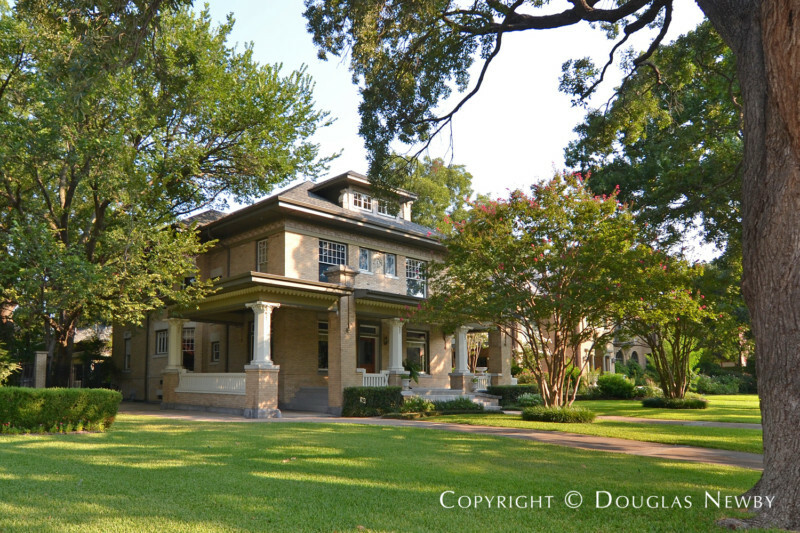 This Munger Place home received the Restoration House of the Year Award when it was first restored by a founder of Preservation Dallas. 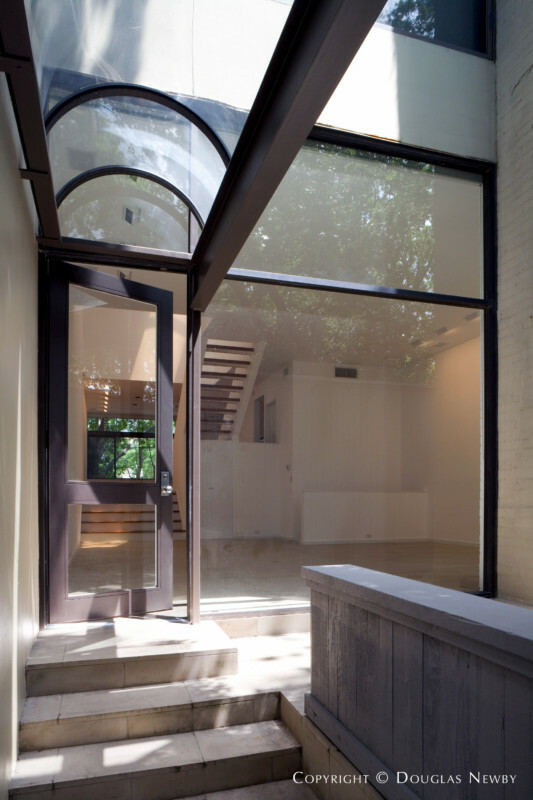 Recently, it has been further renovated by its current owners who are in the design industry, including a new kitchen. Beautiful front doors open to the wrap-around porch in a neighborhood known for its front porch atmosphere and neighborhood collegiality. 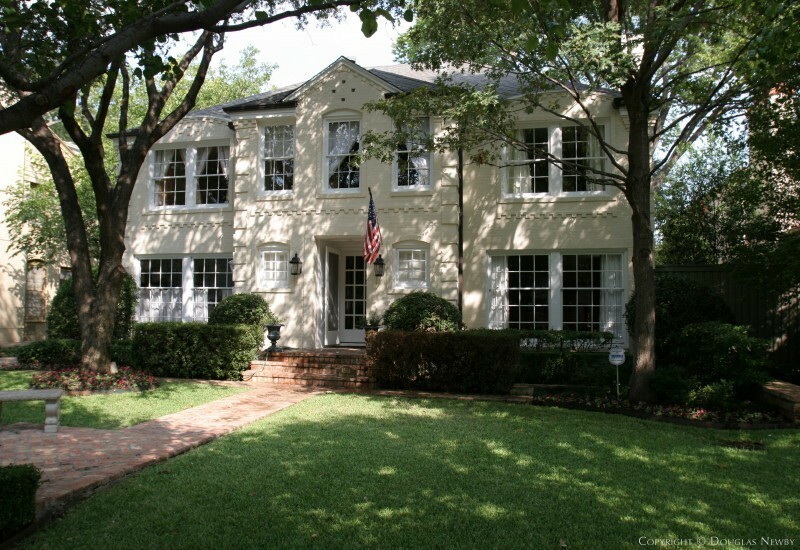 Munger Place was the first single-family historic district in the city. 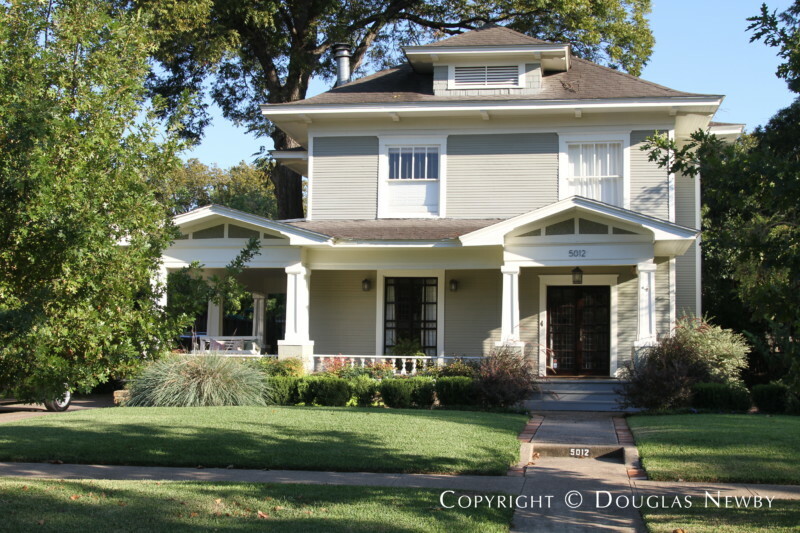 This neighborhood is in the center of vibrant Old East Dallas neighborhoods, and it is surrounded by three other historic districts: Jefferson Peak Historic District, Junius Heights Historic District, and Swiss Avenue Historic District. 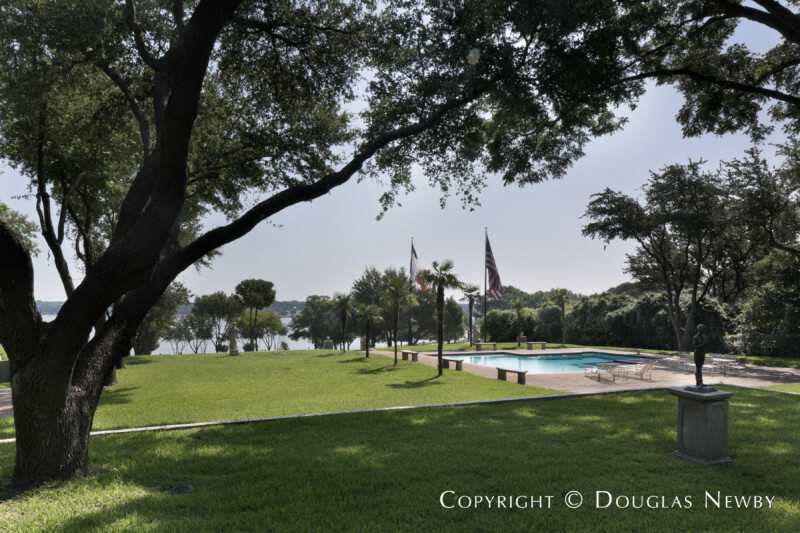 At the best location on White Rock Lake you are able to buy three acres of land and have a Howard Meyer architect designed home with perfect proportions. This 1939 home has been structurally brought to date, making it easy to create a new kitchen and master bathroom. 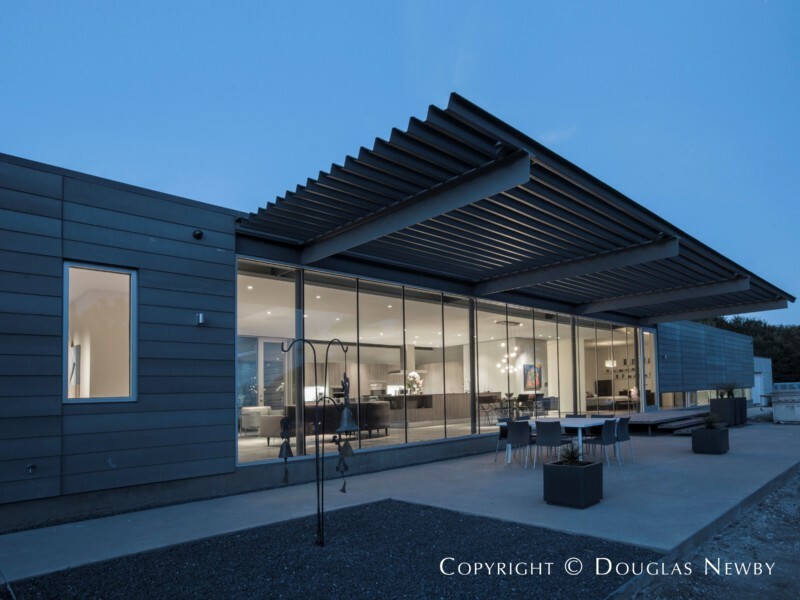 Landscape architect Thomas Armstrong is attributed with the design of this modern home he had built for himself. It is sited on a Highland Park block with an entrance to the Kathy Trail. Raised from the street, the flat roof and geometric blocking convey its modernity. 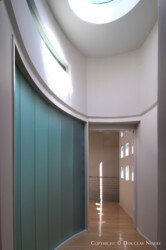 An entrance court hides the front door from public view. An interior wall of windows brings into view the forested side courtyard. The perimeter row of cypress trees hides the neighboring home and provides a tranquil canopy to this serene and private outdoor space. Here is a site suitable for an architecturally significant home. 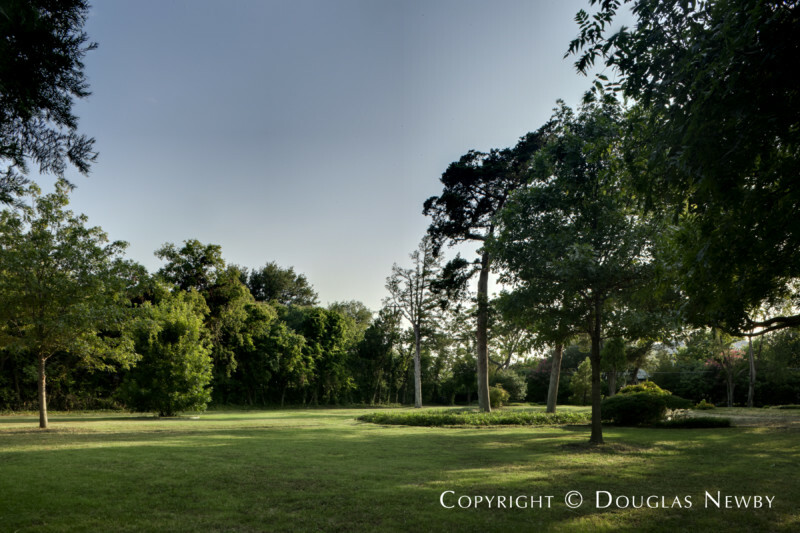 The lot is wide, deep, surrounded by trees and other expensive architect designed homes. 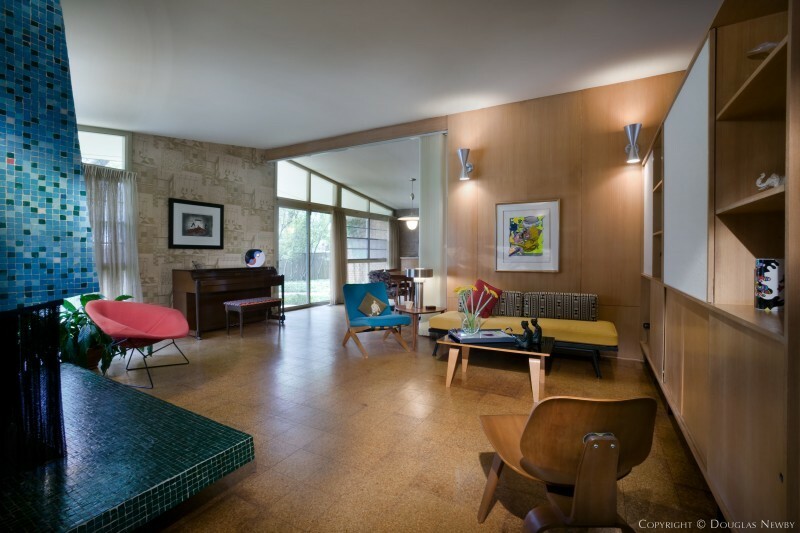 Even more important, the neighboring Bud Oglesby designed modern home and the Charles Dilbeck designed 1934 home are built on very small footprints. These bordering homes are renovated, expensive and take up very little space in relationship to the size of their approximately 1.3 acre estate properties filled with trees and the edge of a small lake. A Highland Park estate home offered for sale that embodies all the underlying qualities that make Highland Park one of the most beautiful and prestigious townships in the nation. 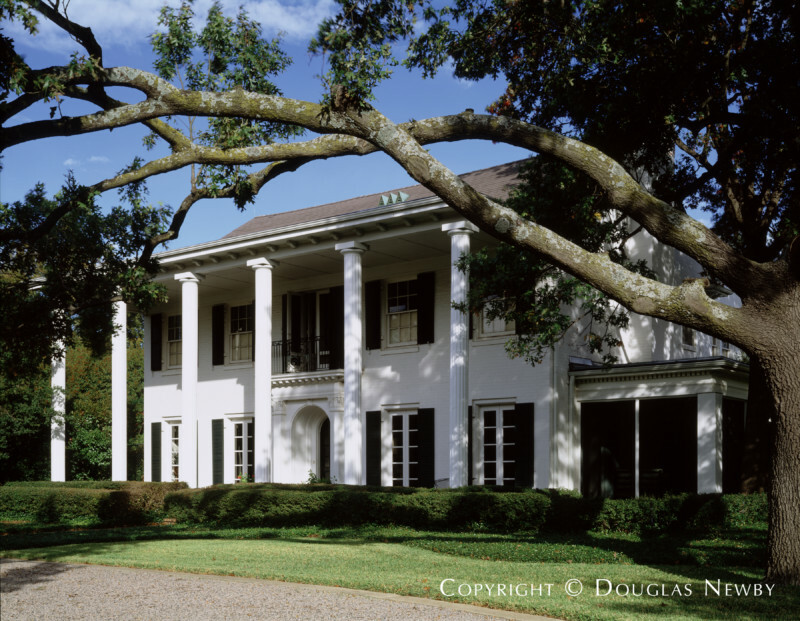 Here is the architectural elegance from America's Golden Age of estate home architecture on a wide, graceful lot with magnificent magnolia and oak trees. 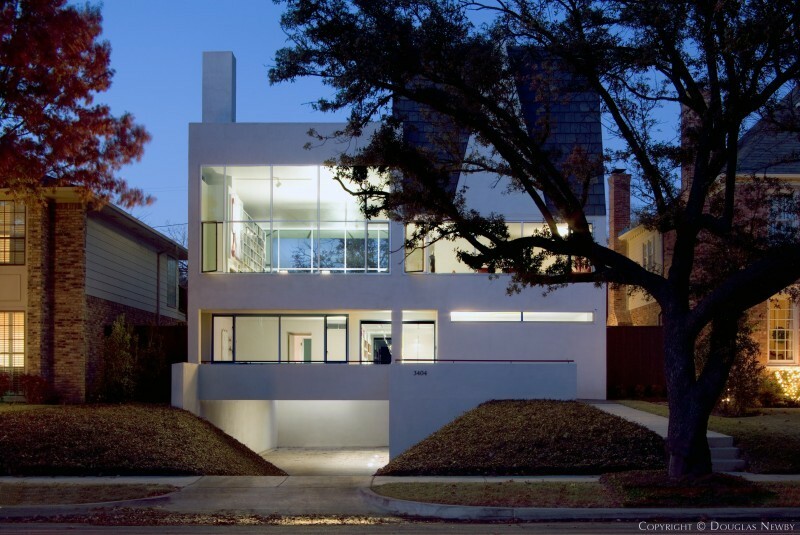 Architects Goodwin and Tatum designed this home with a sweeping staircase and spacious rooms overlooking a park that appears as if it was designed for this Highland Park home. The interiors of this 7,000 square foot home have been refinished with style and elegant materials. You will find an alabaster fireplace, amethyst sink and backsplash and other gem quality stone throughout the house and fixtures. Long slabs of very dramatic granite set off the kitchen, wet bar and service areas. Wide plank hardwood floors combined with sweeping porches and verandas with long Texas views are reminiscent of the best Texas homes. 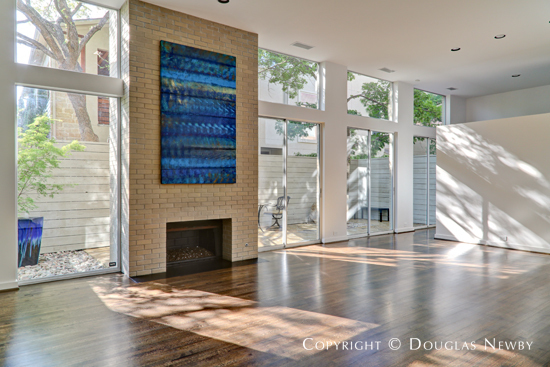 Walls of windows allow sunlight to stream across this entire Westlake, Vaquero home. Max Sandfield designed this home for his own residence acting as architect and client. Max Sandfield was able to be more daring. 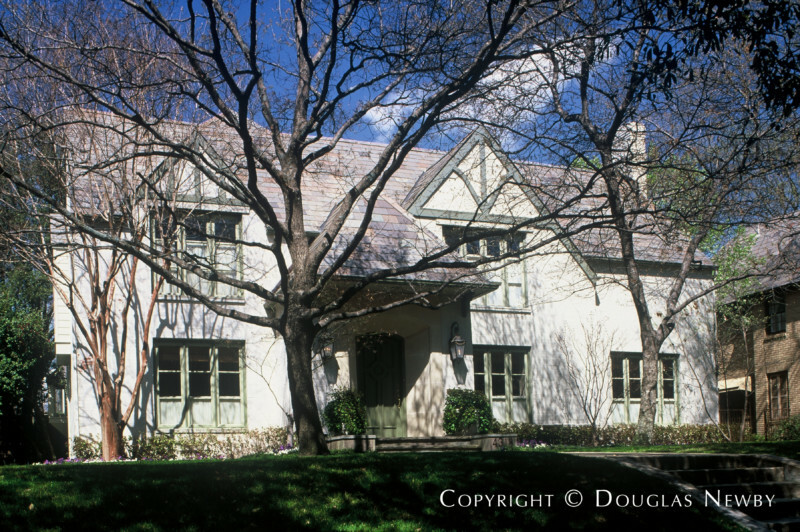 He designed one of the first modern homes in Dallas capturing the architectural elements we now so closely associate with this revered architectural period. Seldom will you find a full two-story, gracious Highland Park home with four bedrooms for under one million dollars. Here you have the opportunity to purchase just such a property, a Highland Park home with 3,000 sf, light-filled rooms, and a timeless design on a spacious lot. Total renovation accentuates the Palm Springs modern look and feel of this midcentury home, wrapping around a pool and terraced lawn. Rooms are open and relate to each according to the occasion: elaborate entertaining, formal dinners, backyard barbecues, or having fun with close friends and family. 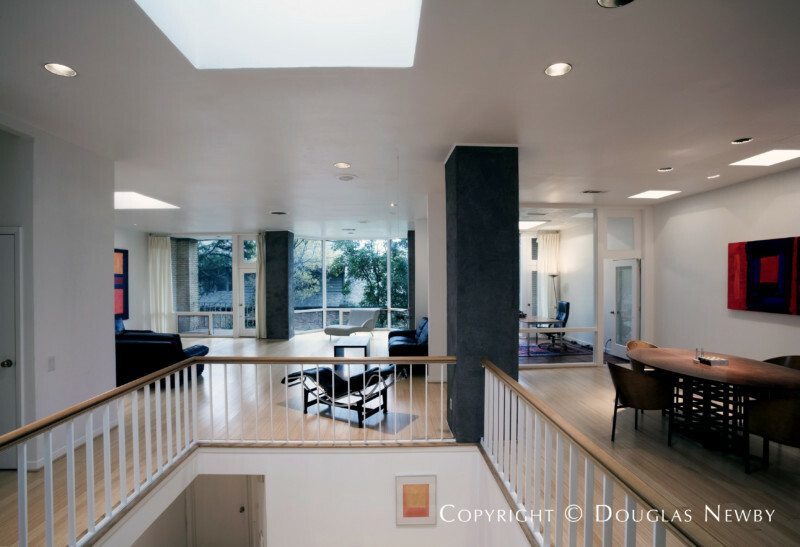 Modern award-winning architects Braxton Werner and Paul Field have designed the modern renovation of this original Beverly Drive home in Highland Park. While the scale and exterior architecture is consistent with other homes on the block, the interior has been dramatically changed, reflecting the compatibility of modern with Mediterranean. Here you will enjoy entertaining inside this elegant home or pool side with a garden shaded by mature trees around the perimeter. The quarters above the two-car garage are also spacious and comfortable for guests. 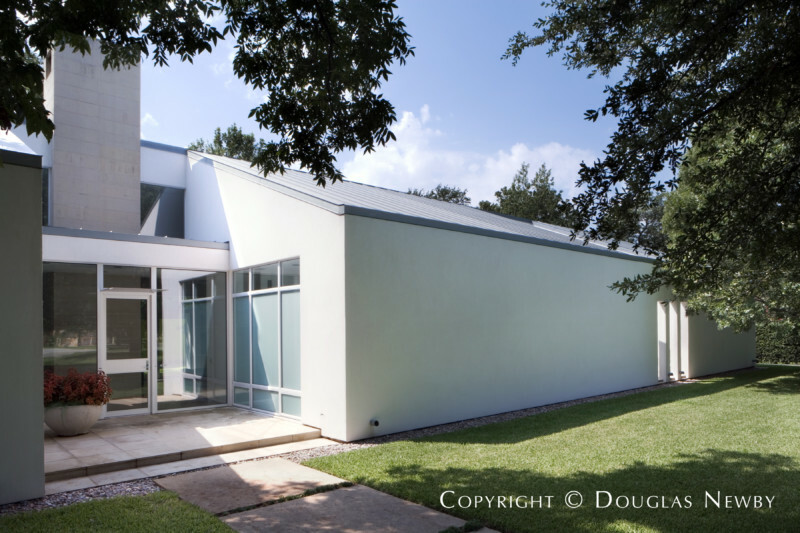 Frank Welch, FAIA, designed this modern home for the prominent family who developed Bent Tree. It is no wonder they chose this lot for their own modern estate home. 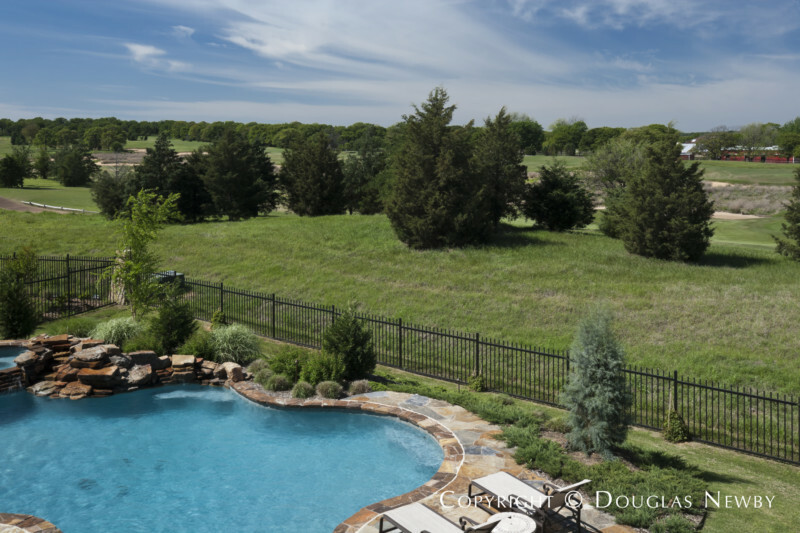 Preston Trails golf course and a greenbelt wrap around this home, providing several acre views of green with a backdrop of forest in the distance. Sited on two beautiful acres and backed up to a greenbelt, this asking price reflects just land value and the fabulous architect designed home is an incredible bonus. 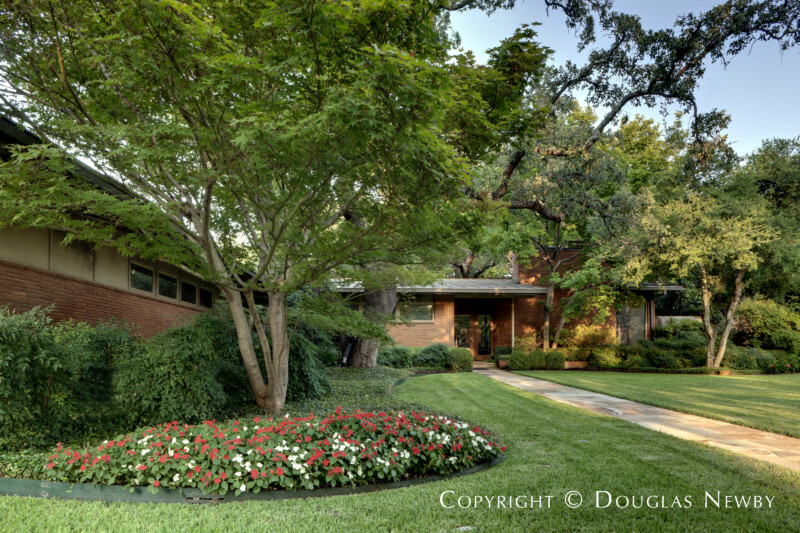 Located in Bent Tree, this is the finest International Style modern home built in Dallas since the International Style home designed by Roscoe Dewitt, AIA, for Stanley Marcus on acreage in 1937. This charming White Rock Lake home on 2.5 acres is ideal for a small family or as a close-in second home. The 203 foot wide lot offers the best views of any site on the lake. This approximately 2,920 square foot two-bedroom home has large living and entertaining spaces. Also, the home has additional structures for guest quarters and a private office. 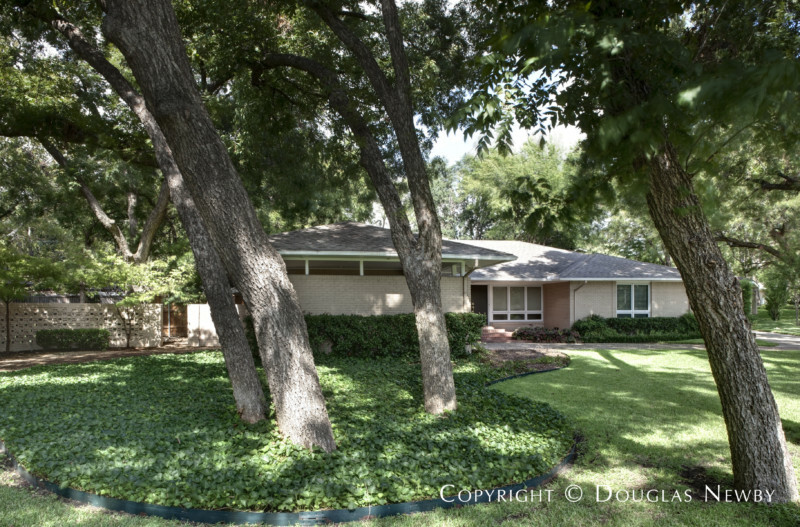 The original owners of the last standing, architect designed, pristine condition, midcentury modern home in Preston Hollow have asked me to offer this architecturally significant home for sale. 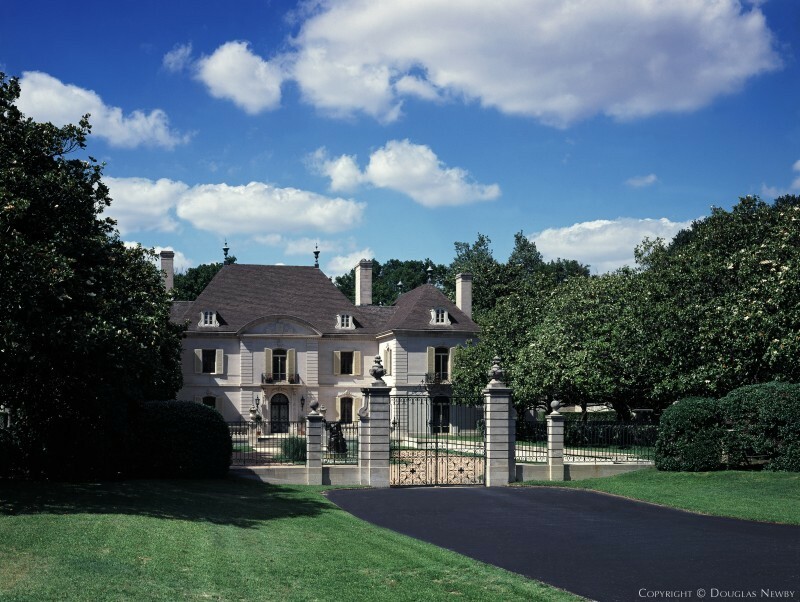 O’Neil Ford was brilliant when it came to selecting sites for the homes he designed. Here, O’Neil Ford selected the top of the hill in Turtle Creek Park, alongside Rock Creek. This site enjoyed splendid views of the forested Rock Creek as it makes its way down to join Turtle Creek. This modern interpretation of a Beverly Hills home expresses itself perfectly in Old Highland Park. Built in the last 12 years, the Mediterranean home was totally refurbished, stylistically enhanced and the modernity accentuated. 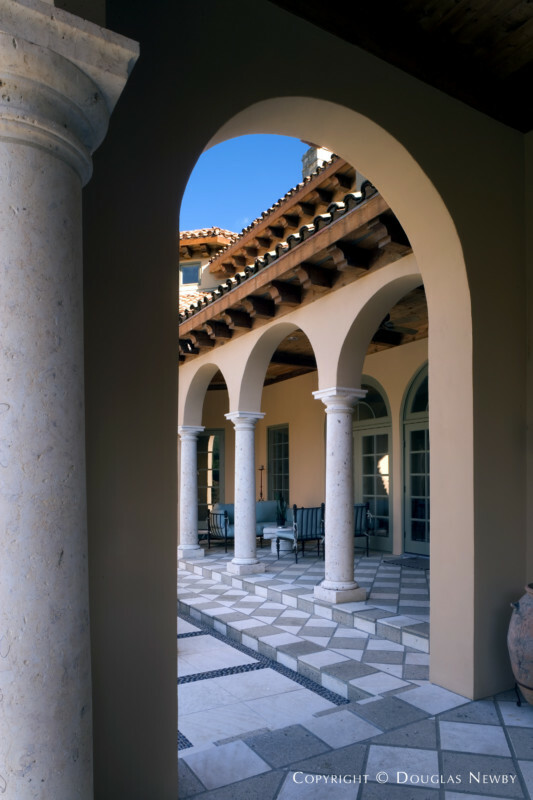 A series of arched openings and courtyard with a fountain make the transition from the peaceful tree-lined block of Cornell to the formal two-story entrance hall. 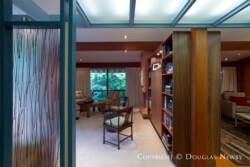 The large mahogany framed sliding glass doors are part of the glazed walls found on both ends of the informal living room. In one direction your full view is of a side garden and play area for the children. In the other direction there is a full view of the terrace, gardens and pool. When entertaining with both of the wide glass doors open, the front garden, the living area, rear garden, pool and terrace all become one space. You will enjoy the stylish, open floor plan. A large kitchen with spacious butler’s pantry, full island, and granite countertops opens to the 19’ vaulted ceiling great room with a sleek offset wet bar, including refrigerated wine storage also finished with granite countertops. A fireplace is flanked with Shawn Kerr custom built-in 10 foot armoires. A wall of windows overlooks a rear garden and 30’ swimming pool with five sheer decent fountains. A silver mist flagstone patio, outdoor fireplace, gas grill hookup, and tree lighting add to the fully landscaped back yard that includes windmill palms, yuccas, azaleas, banana, fig ivy, hibiscus, birds of paradise, and mature trees. 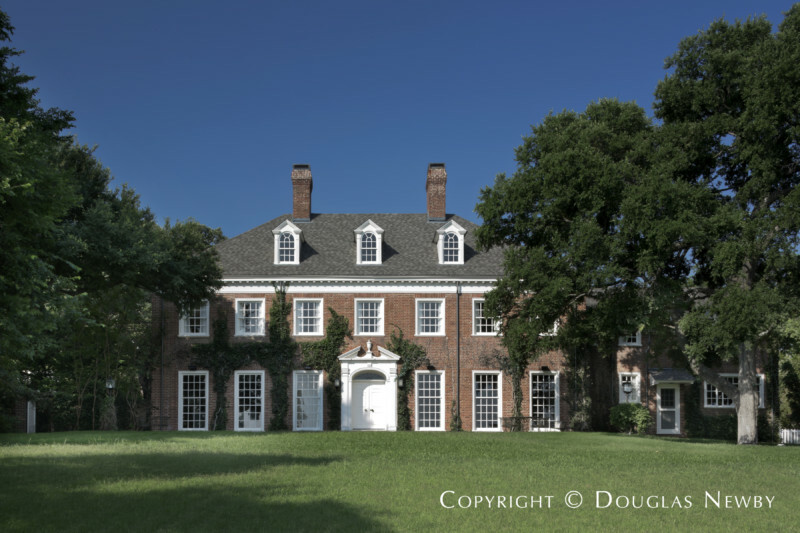 This New England inspired Georgian style estate home is reminiscent of the finest early estate homes in Dallas. 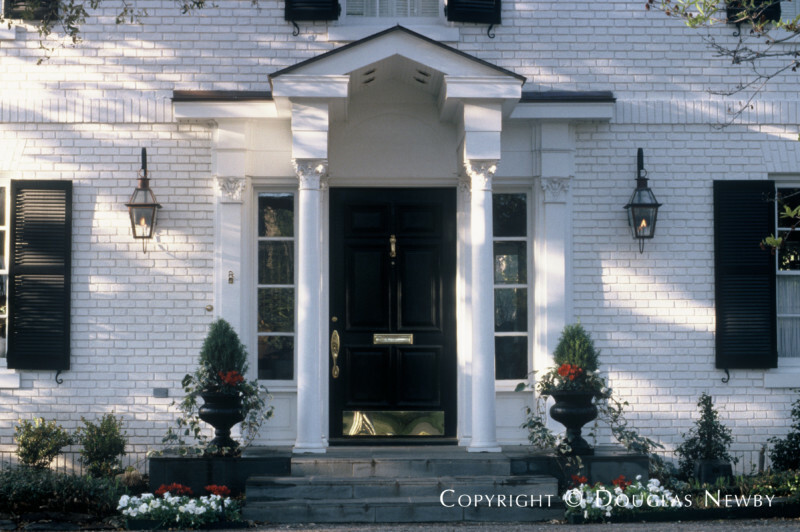 Classic lines, period moldings and graceful proportions of the formal rooms define an architecturally elegant home. 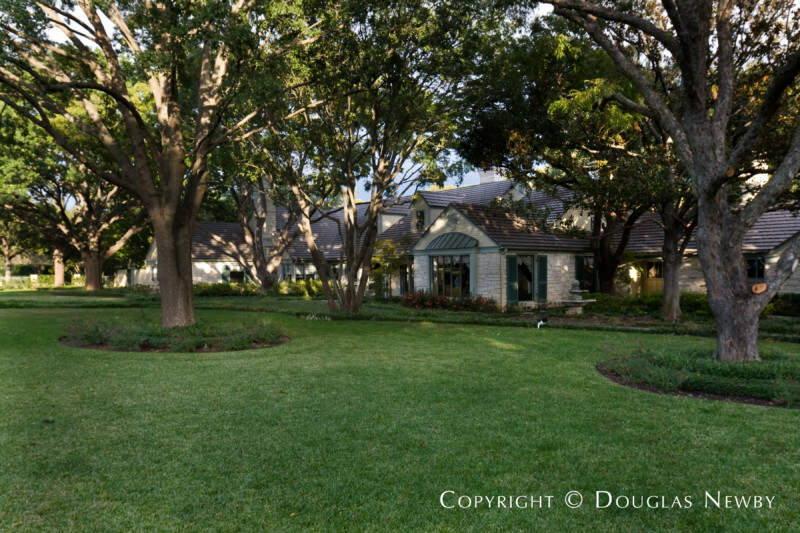 Set on nearly one and one-half acres, you will enjoy the distant views of the immense lawn framed by the garden. Found on an ample lot in the middle of the first section of Highland Park, this eclectic home's majestic bearing comes from its placement high off the street on its elevated lot. 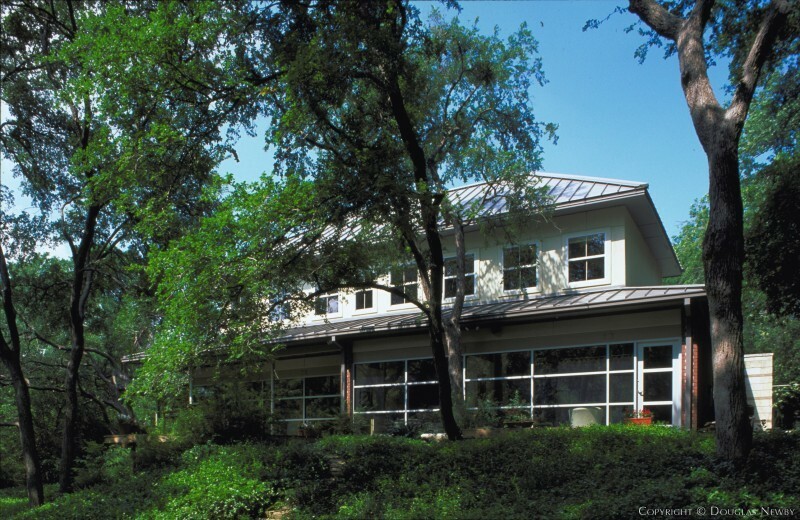 A slate roof, large divided light windows and elegant design contribute to its pleasing presence. 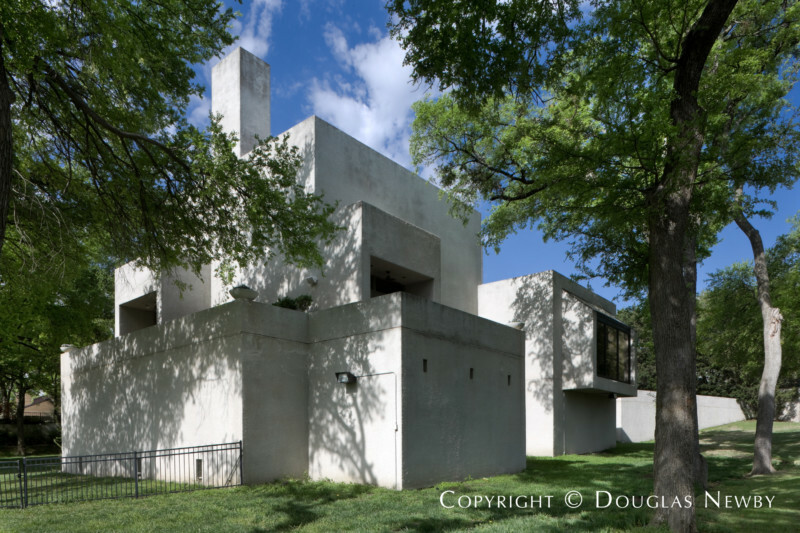 The same architect who brought international modernism to New York, designed the New York Museum of Modern Art and important buildings around the world, designed his most famous house in Dallas in 1956. Edward Durell Stone was one of a handful of international architects who had the ability to design prominent skyscrapers, the symbol of the 20th century, modern museums looking at art and collections in a new way, and homes combining technology with humanity. The open floor plan eliminates hallways in this 10,000 square foot home. 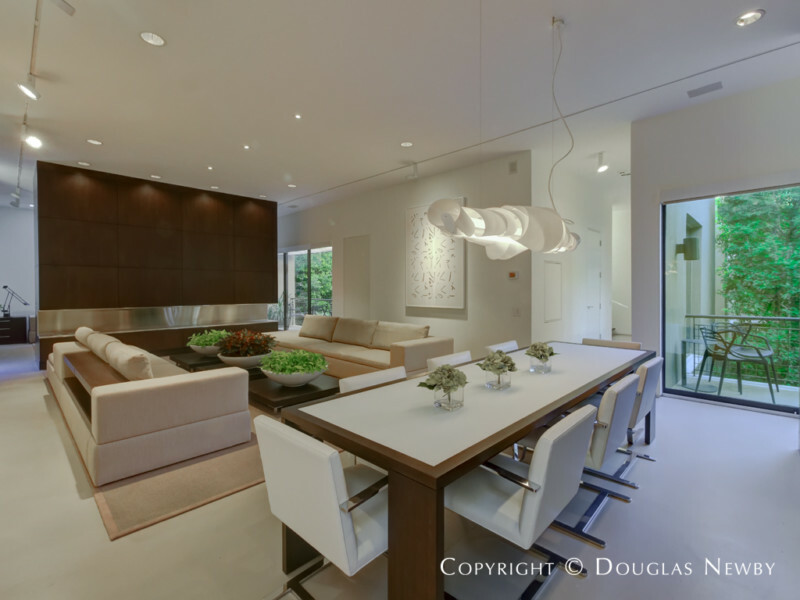 The tall ceilings, walls of windows and glass doors celebrate light and the outside. Denby marble from Vermont, cut and polished in Italy connote elegance, the hand-carved arabesque wooden screens celebrate craftsmanship. The concrete pier and beam foundation reinforced with steel beams establish the quality of construction and renovation. 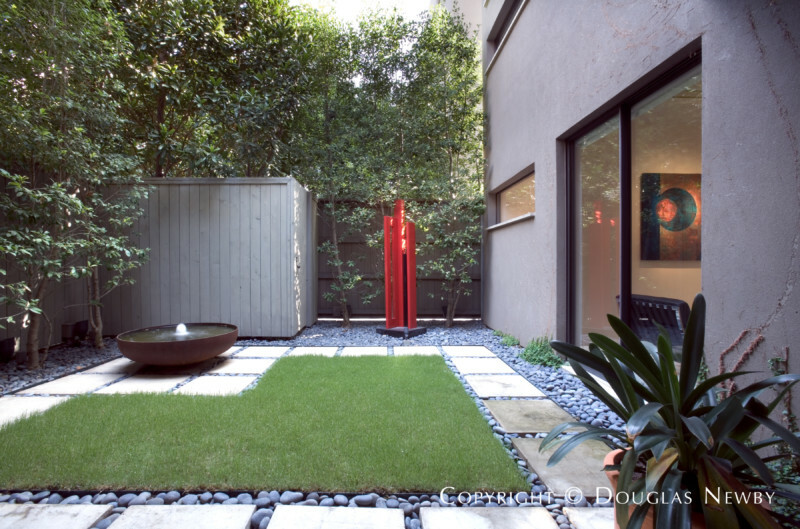 Courtyards create and protect outdoor space and provide the same sense of serenity on one acre as country estates on much more land. The peristyle extends views over vast amounts of landscaped land. This is the ultimate 1950s Mid-Century Modern home; a celebration of the clean edge of the machine and the soft hand of the artist. 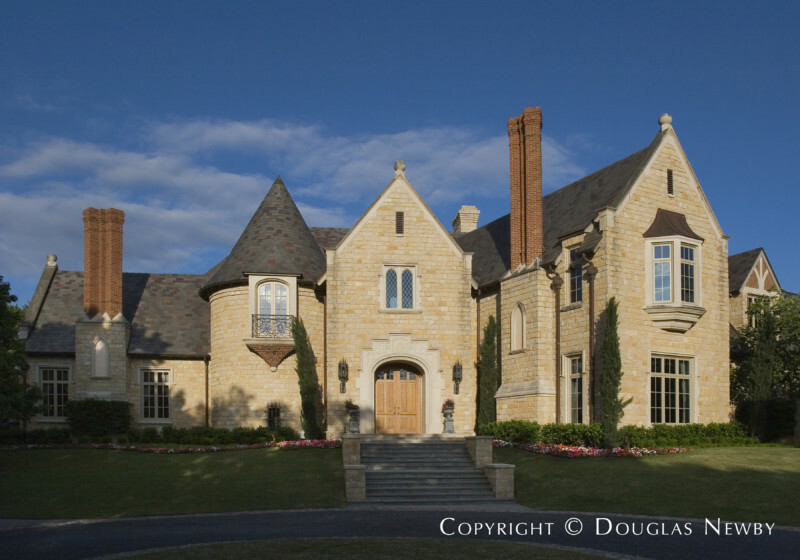 Please contact me, Douglas Newby, at 214.522.1000 if you are interested in purchasing or selling a significant home. Architect James Langford who worked with I.M. Pei on the Meyerson Symphony Center, designed this spectacular Highland Park three-story residence with a rooftop pool and view of the Dallas skyline and the Katy Trail. 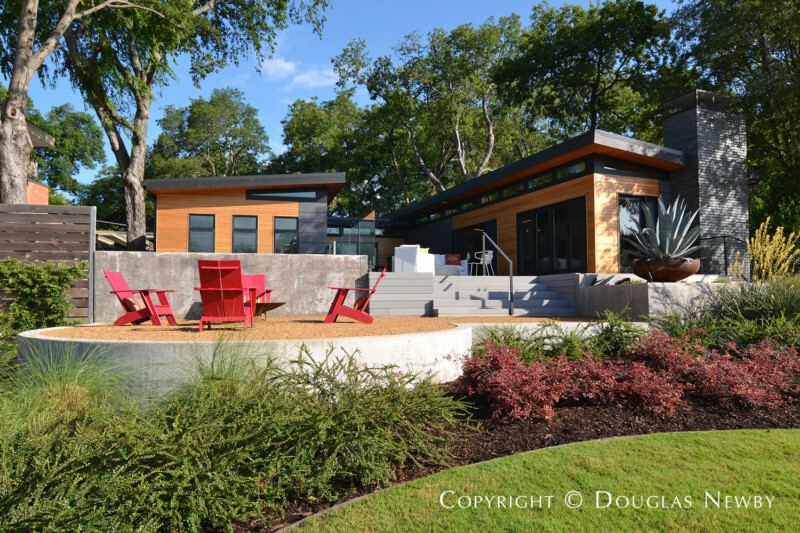 The stylish urban elegance of this home is combined with a 1/3 acre of land that stretches along the Katy Trail. 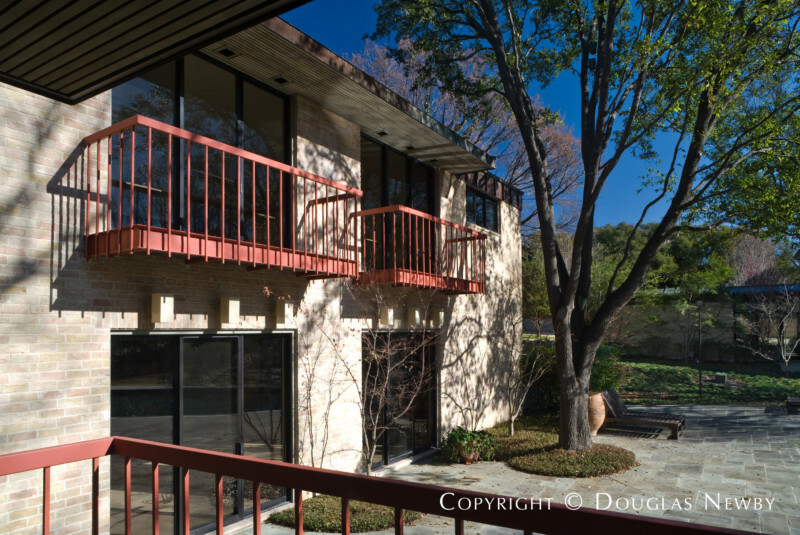 The walls of split face cast stone and stucco further delineate the geometric composition of this three story home overlooking the greenbelt of Turtle Creek. 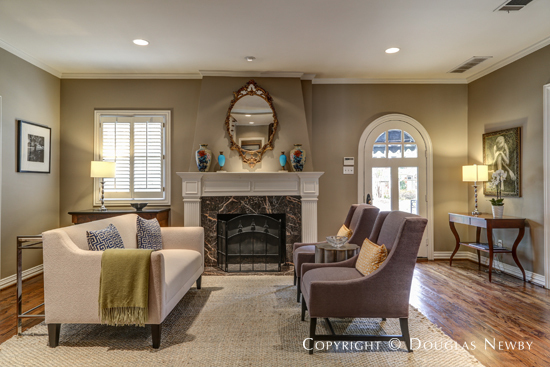 This elegant and refined home is hidden in prestigious and serene Turtle Creek Park. Turtle Creek meanders along the back of the one-acre site and Rock Creek winds its way through the side of this private and wooded property. 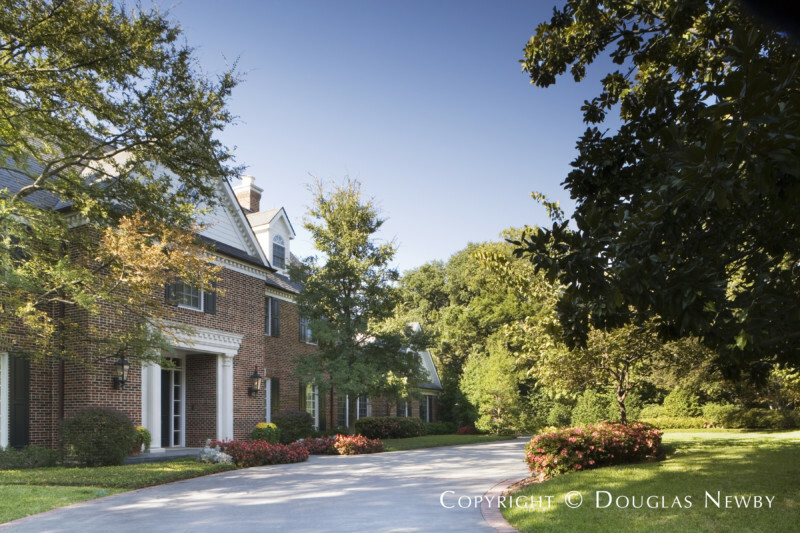 This elegant and refined home is hidden in prestigious and serene Turtle Creek Park. 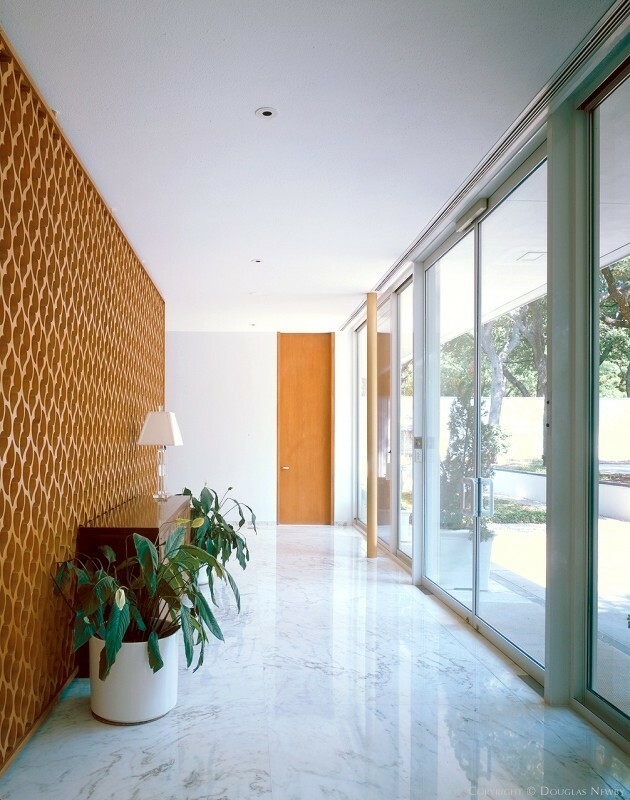 Howard Meyer is best known for his very modern work at the mid-century. 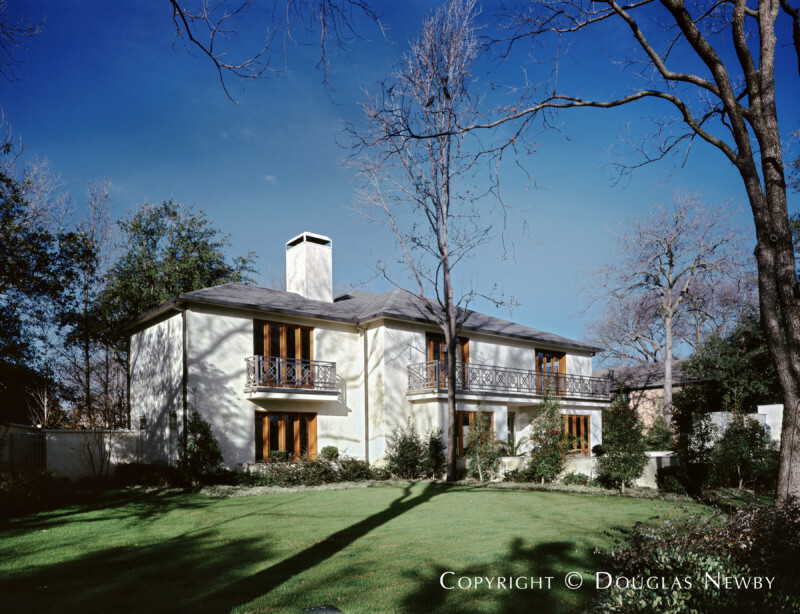 Also recognized in the AIA Guide to Dallas Architecture and by architectural historians is his splendid design of eclectic homes built in the 1930s. 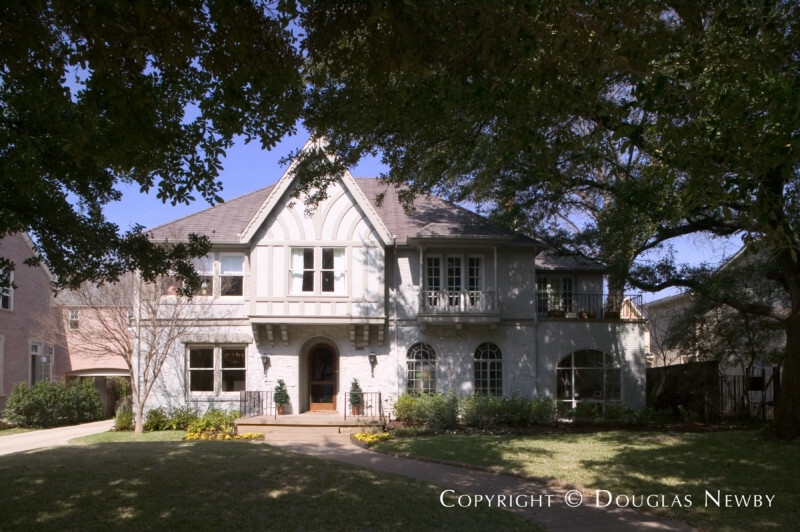 Located high on the hillside of Cochran Chapel is his finest Colonial Revival home in Dallas. Built in 1938, this architecturally significant home has an asymmetrical facade with a gabled roof, side wings, six and eight panel double hung sashes and a bay window reflecting both the style and this period of Colonial Revival architecture. This extraordinary home of architectural distinction is set back and turned away from the street, wrapping around a gracious courtyard garden, providing seclusion, security and serenity. 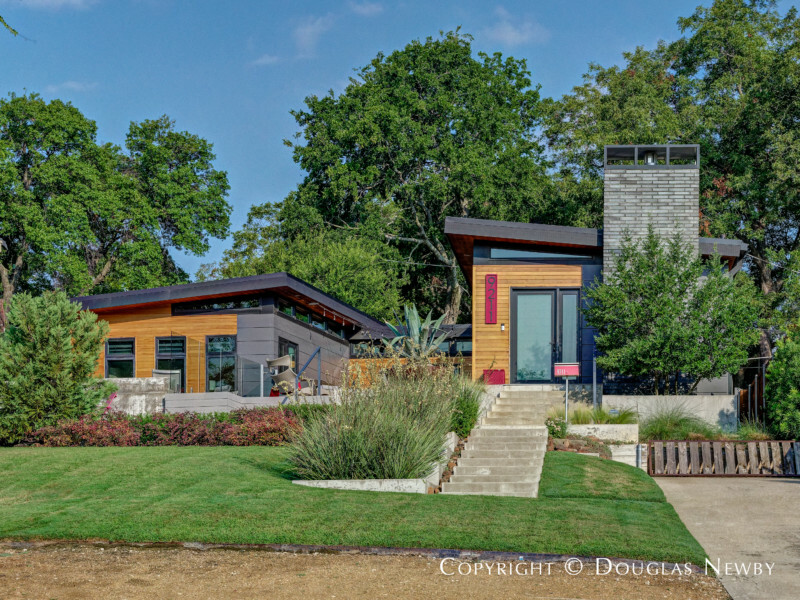 Bob James designed this AIA award-winning home to blend into the neighborhood and provide dramatic views by the surrounding creek and woods. With 3,450 square feet, it is both stylish and practical sited on one-half acre overlooking Royal Branch Creek and a public wilderness park behind it. 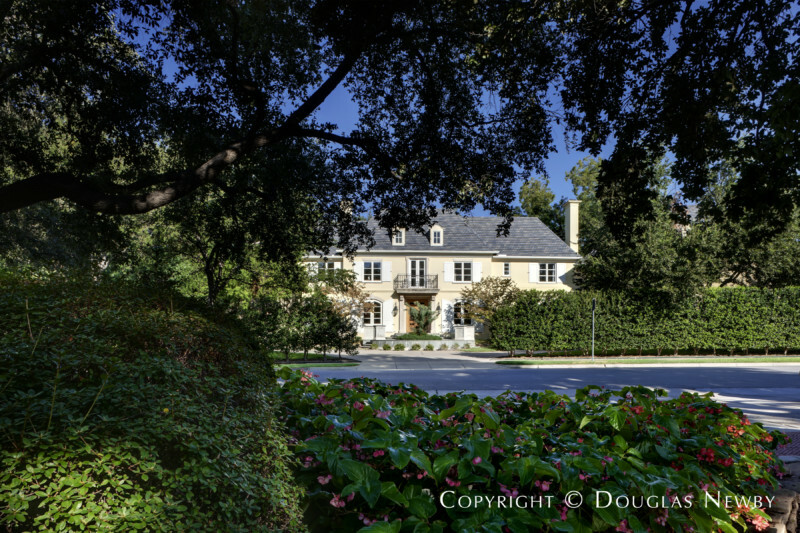 When we think about the graciousness of Preston Hollow, we picture an original estate home built on many acres in the 1930s. 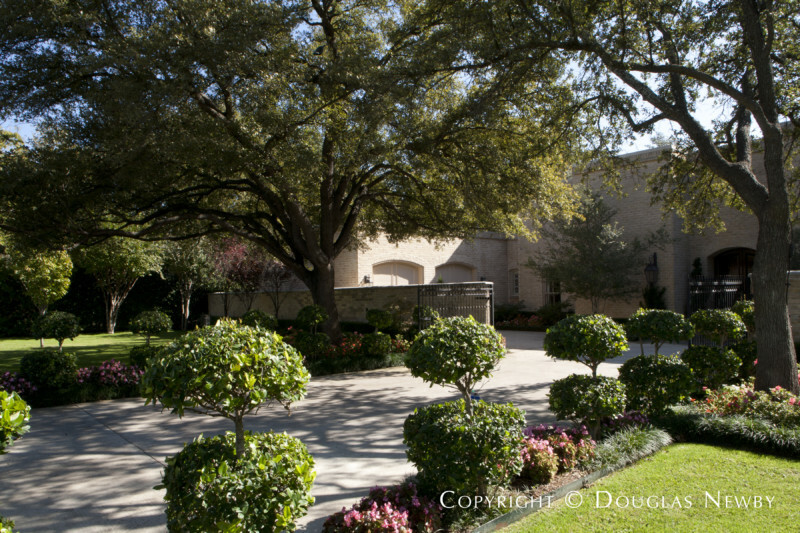 This Desco Estate quickly became a landmark in El Parado, the earliest addition of Preston Hollow. 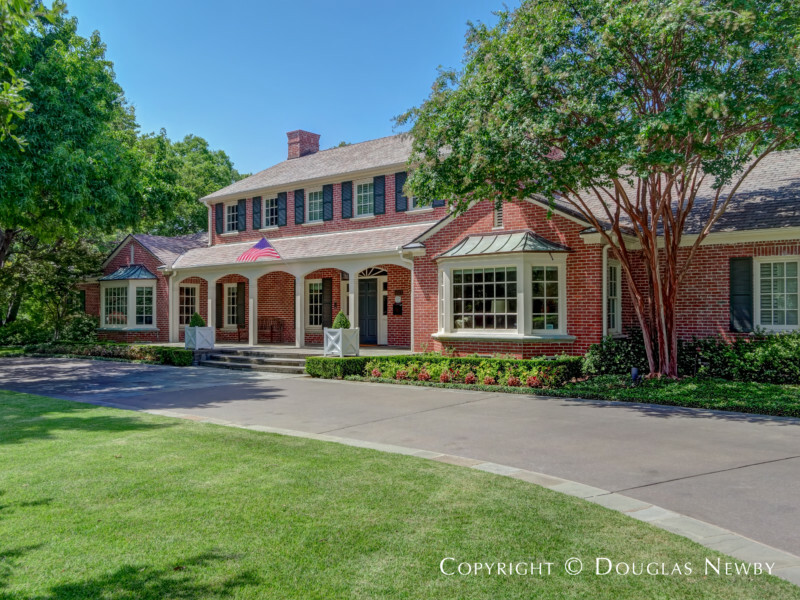 This 1936 neoclassical estate home, perfectly placed on its present two acres with mature trees arching over its graceful and stately architecture, remains a Preston Hollow landmark. Northern Heights is the coolest location for a modern residence as it is just a few doors down from the Katy Trail and just down the trail to the restaurants and shops on Knox Street in one direction and West Village in the other direction. "Before" exterior images showing home prior to renovation. 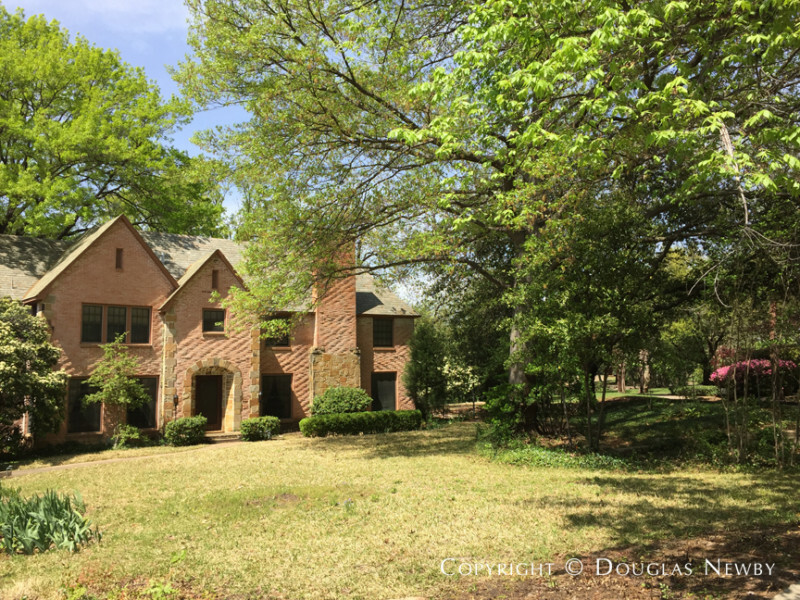 Please see 5373 Wenonah, Dallas, Texas for current images and information. 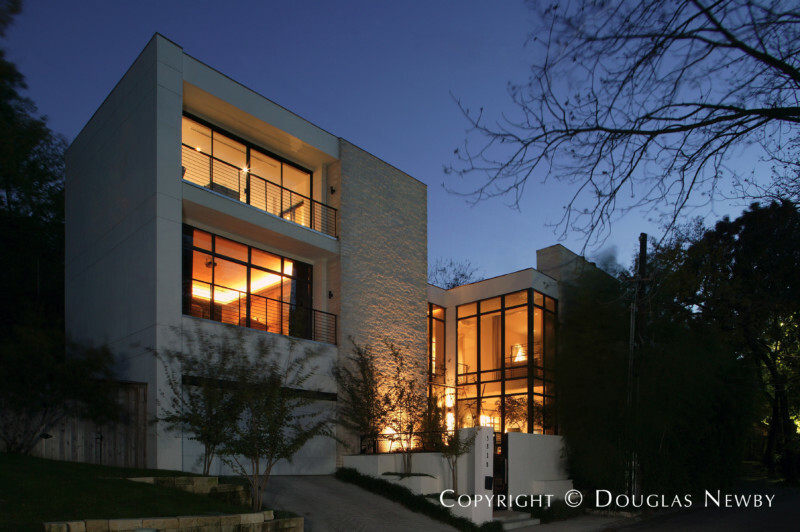 Architect Graham Greene of Oglesby•Greene Architects, recipient of the Dallas Chapter AIA 2010 Firm of the Year Award, designed this award-winning home. 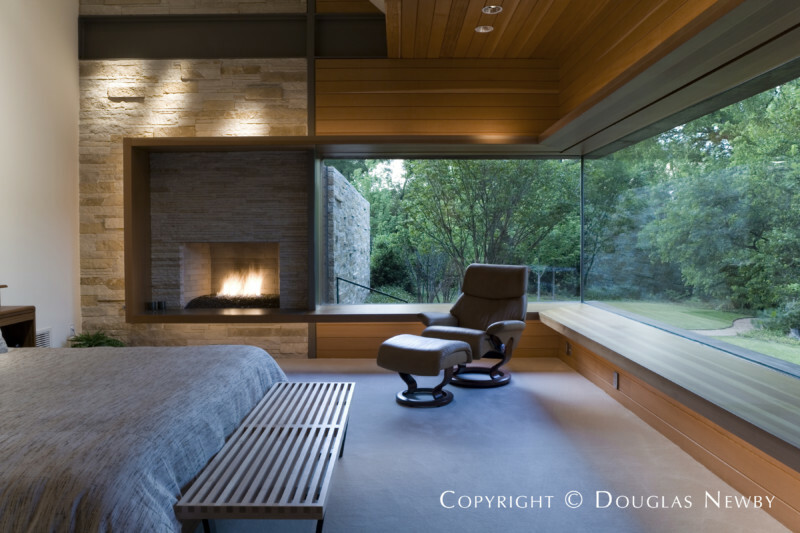 This home at 40 Braewood Place also received the 2010 AIA Interior Architecture Design Award. Here is a home that looks traditional as it almost disappears from the street, but then as you walk next to a gurgling stream, down along the stone entrance path, under the canopy of a trellis and approach the front door, the blended nature of this magnificent modern home and dramatic site is revealed. Still outside the front door, you can look through a glass-walled corridor into a garden, sweeping lawn and mature trees and see the gurgling stream reappear from under the entrance corridor, past a Koi pond, and flowing down a natural rock formation in a waterfall on its way to White Rock Creek below the bluff. The home at 40 Braewood Place is a great example of how important a beautiful site is to a contemporary home. From the bluff or the third-floor rooftop terrace you will enjoy the endless views of Glen Abbey’s forested nature across the creek. This natural habitat invites ducks, geese, egrets, cardinals, songbirds and becomes a private bird sanctuary. At night it is quite remarkable to be in the city and not see residential or city lights. "Your Interest is our Passion"